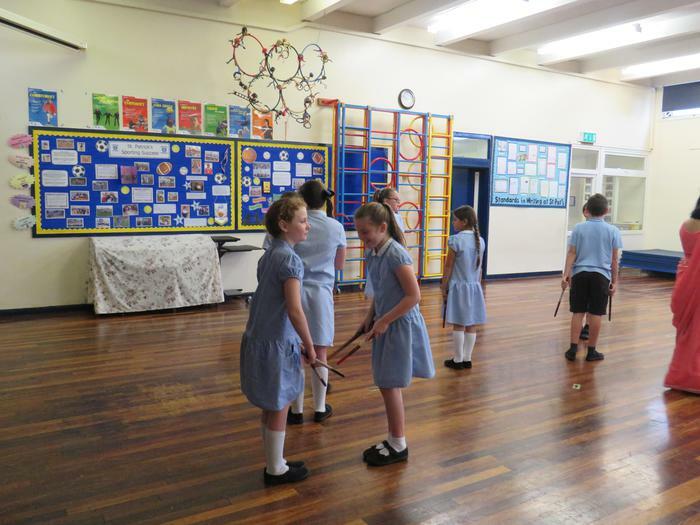 inspiring each other to excellence. 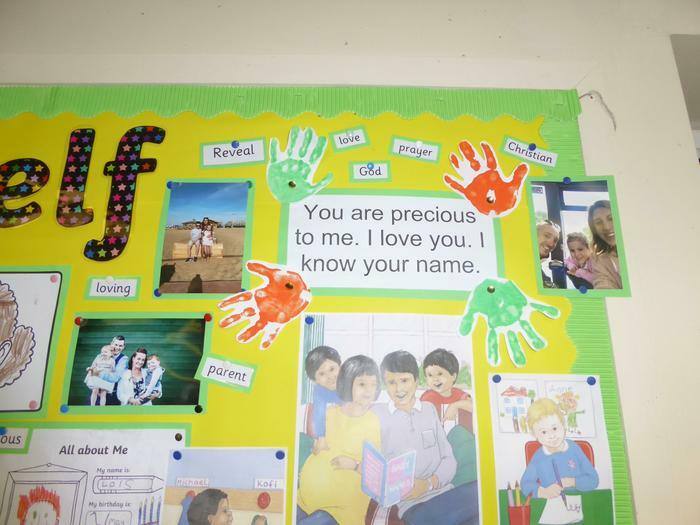 of Star-Light within you. 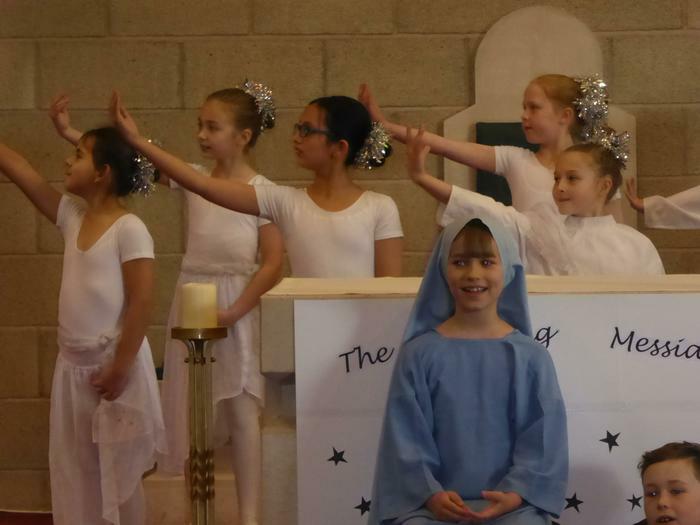 May this Star-light dance in your life and bring joy to those you meet each day. 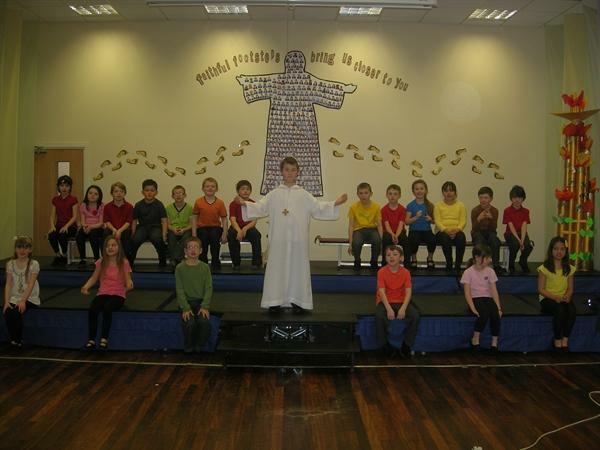 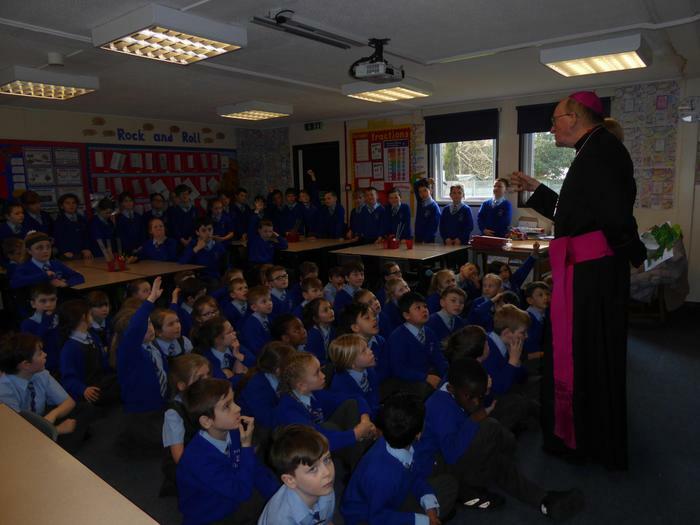 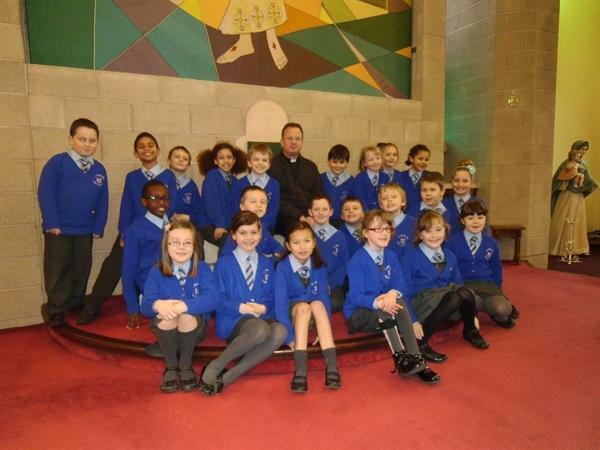 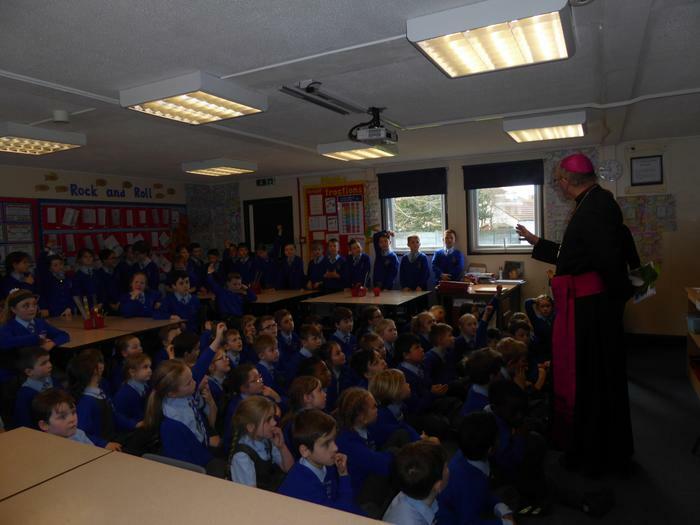 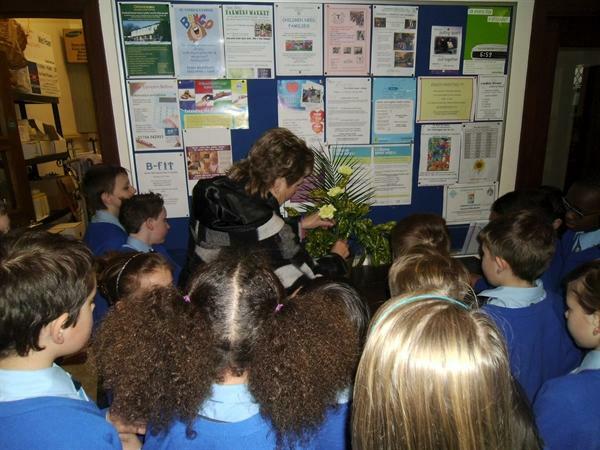 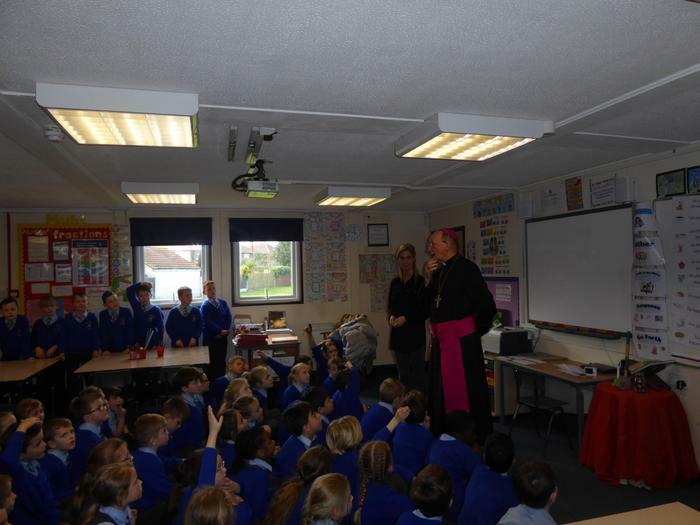 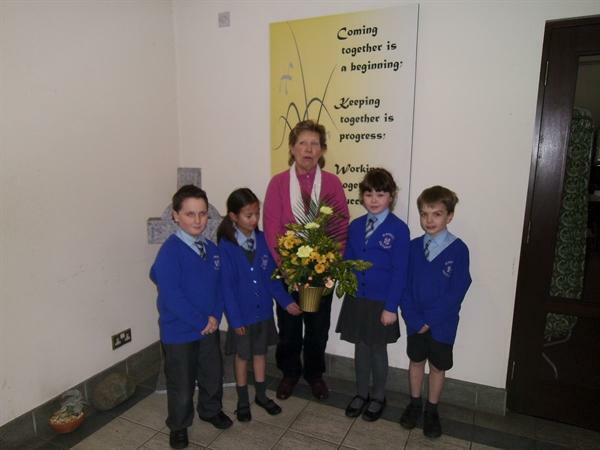 We welcomed Bishop Tom Williams to our school on Thursday 14th March. 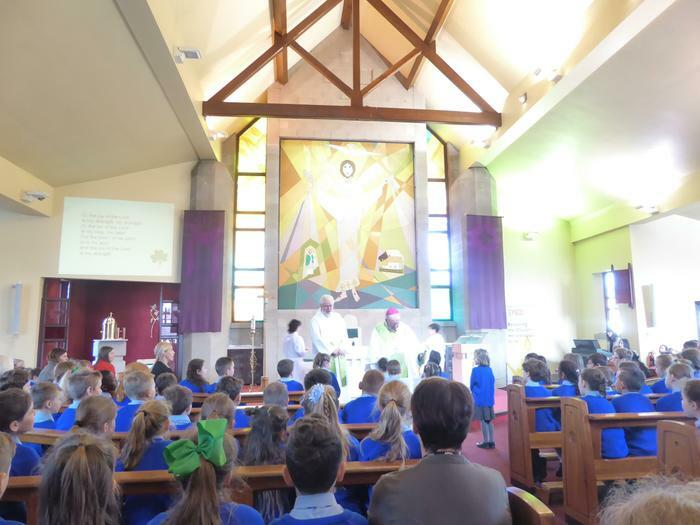 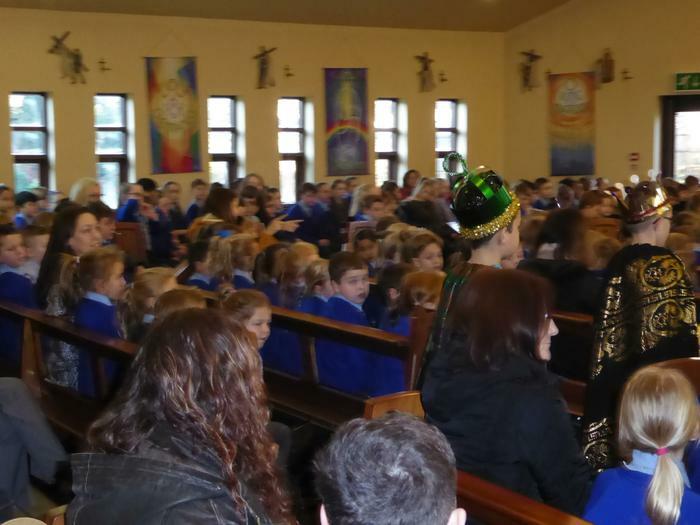 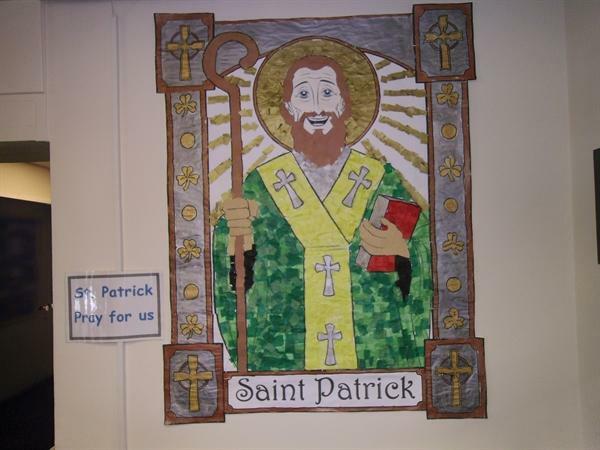 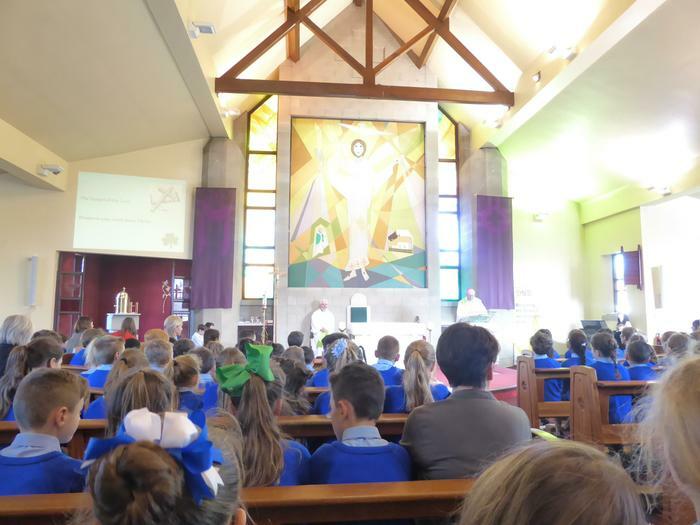 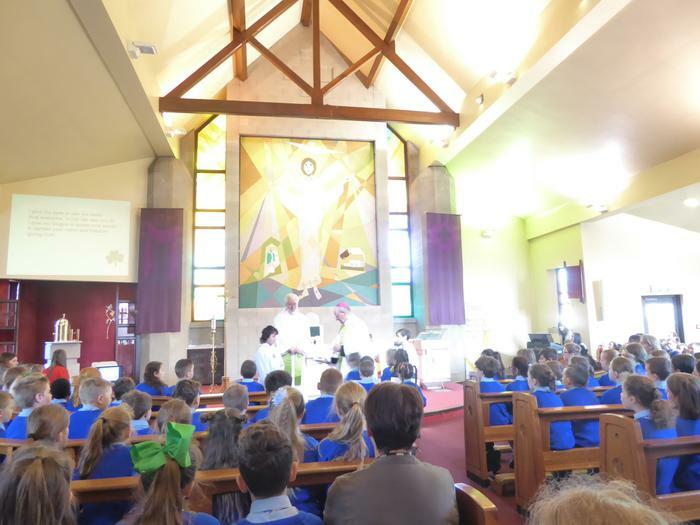 We celebrated St Patrick's Mass together in Church and enjoyed asking him lots of questions about his role as a bishop. 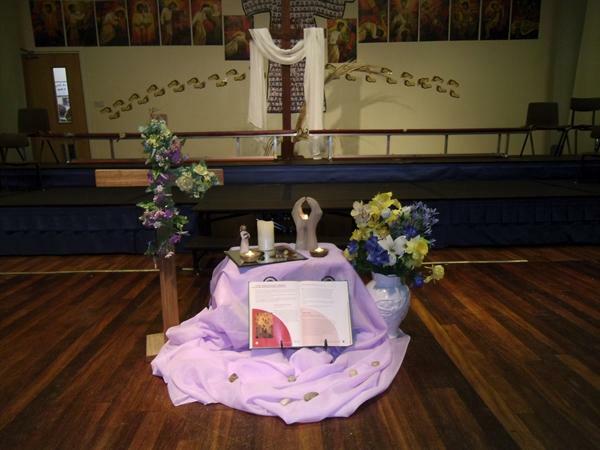 Thank you Father for such a wonderful morning. 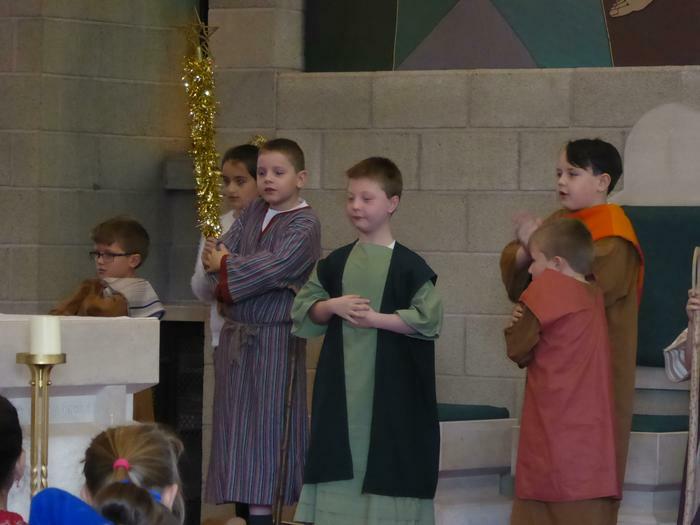 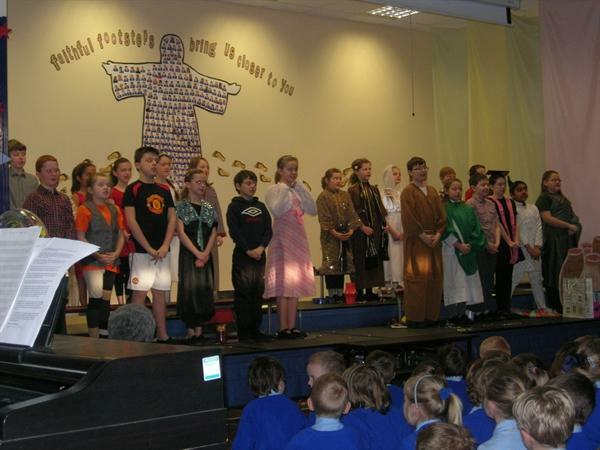 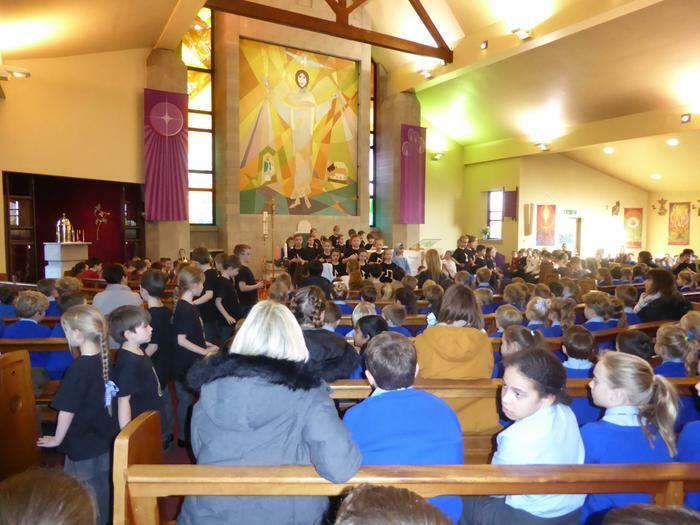 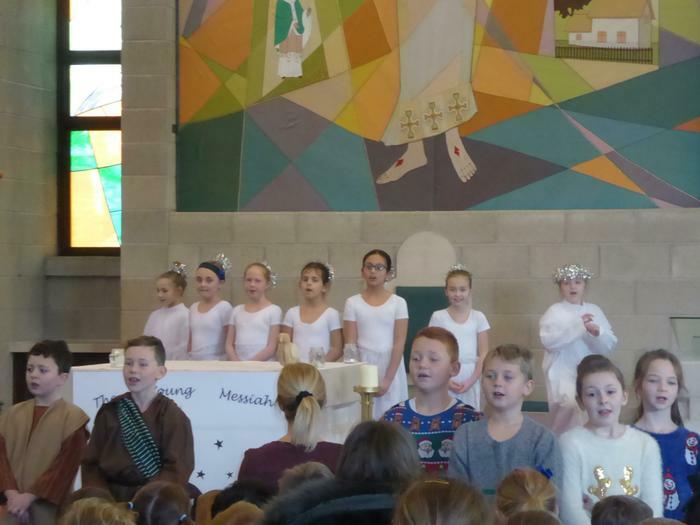 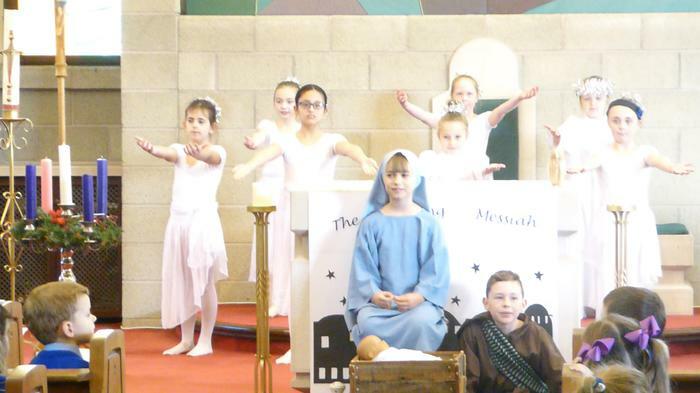 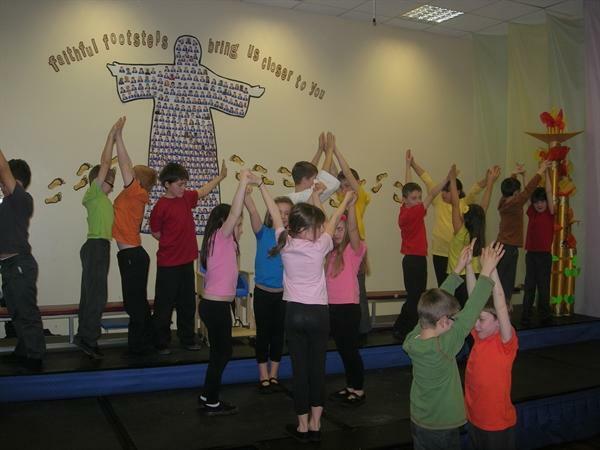 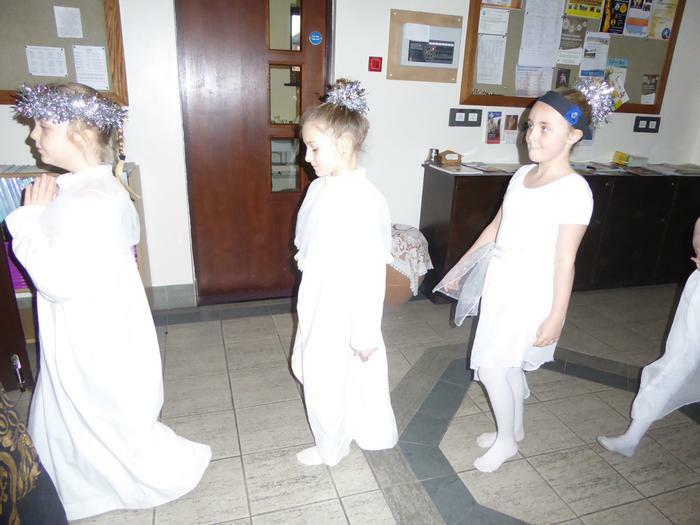 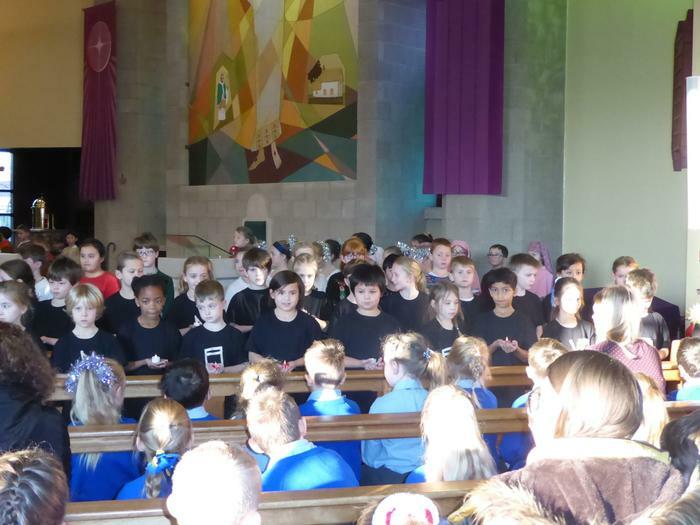 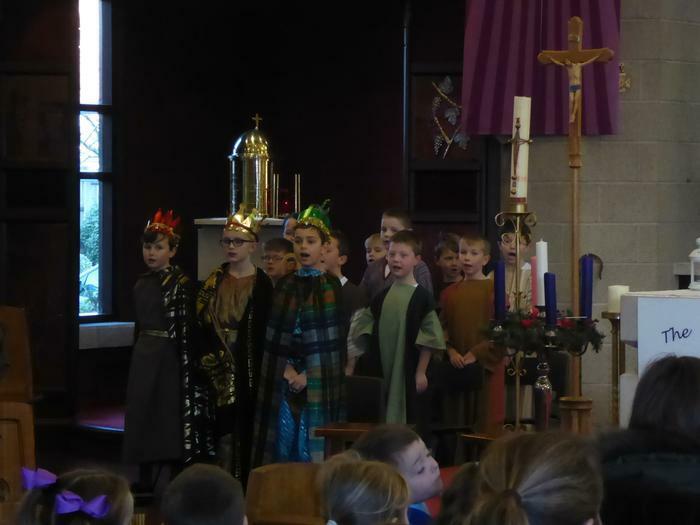 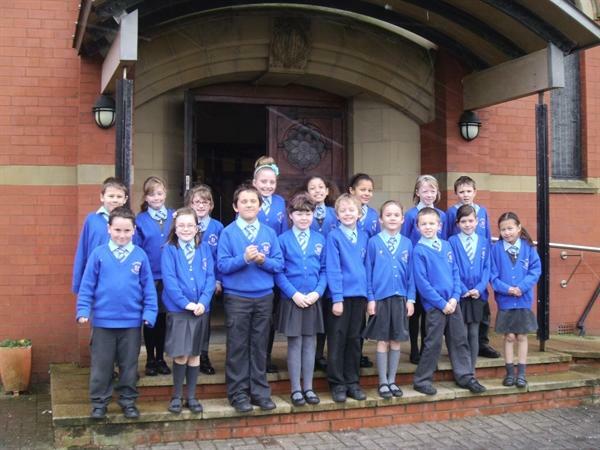 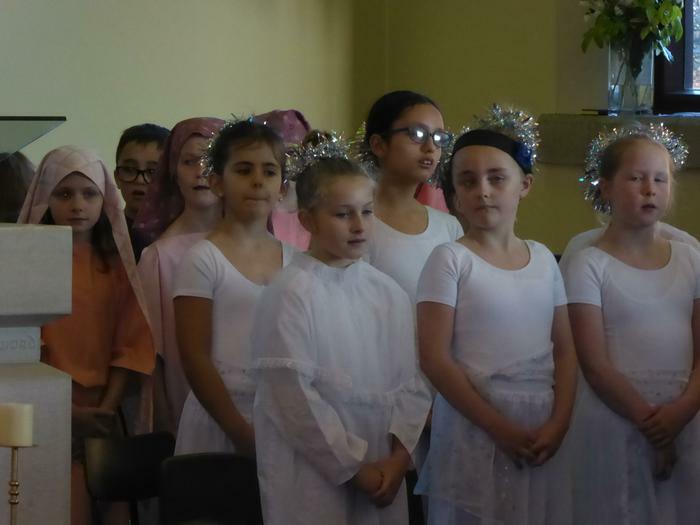 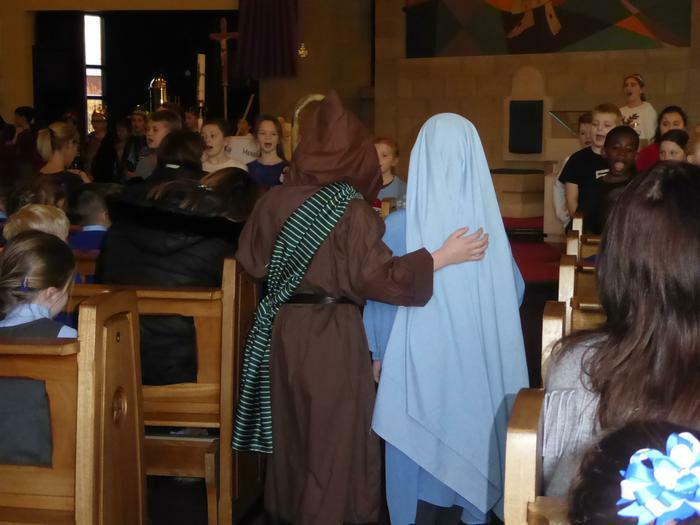 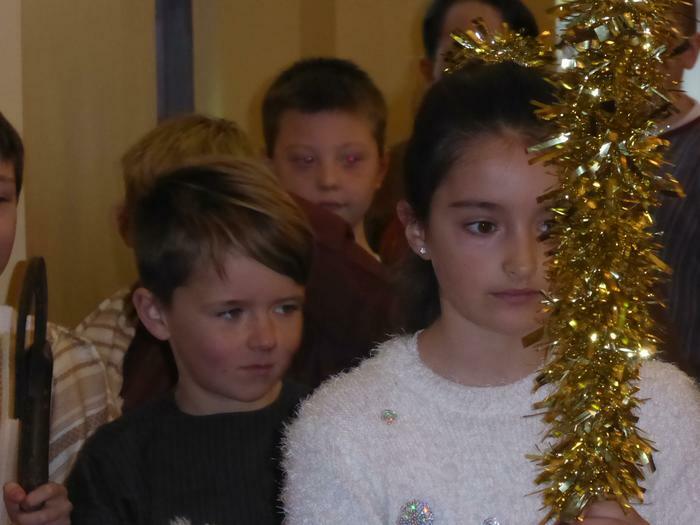 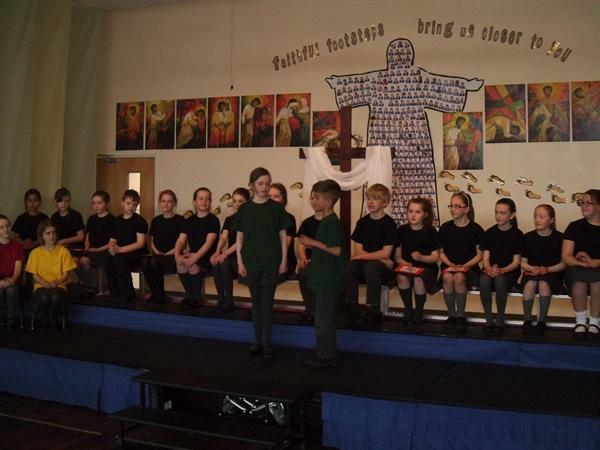 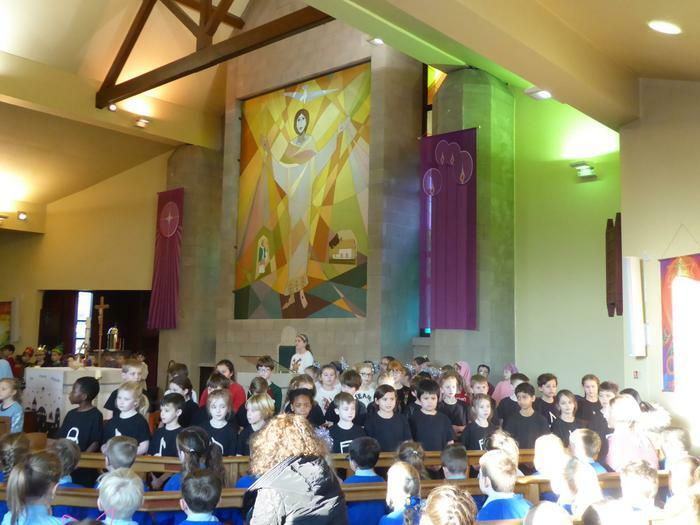 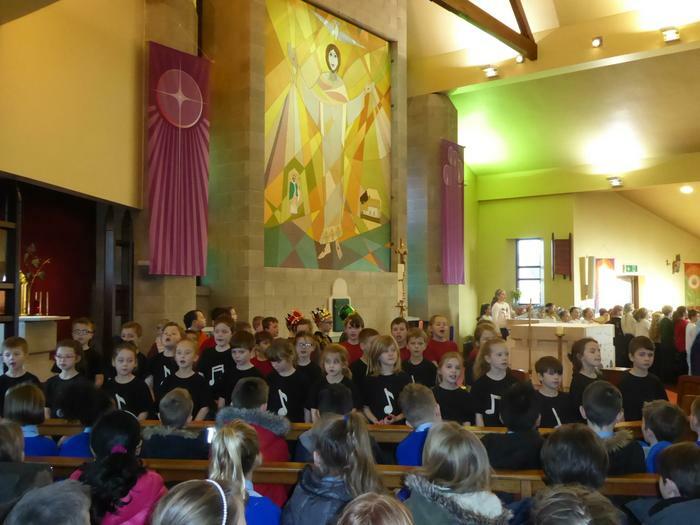 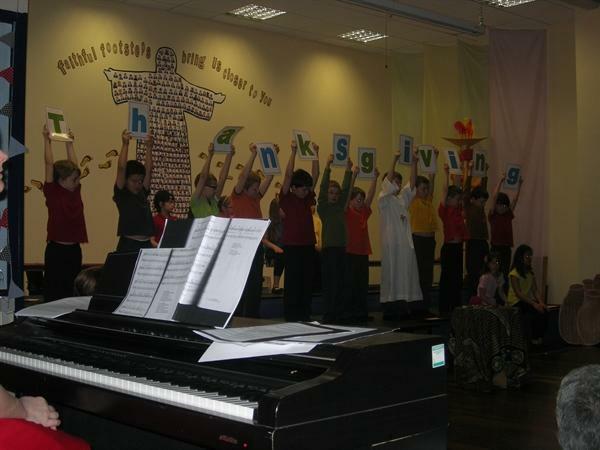 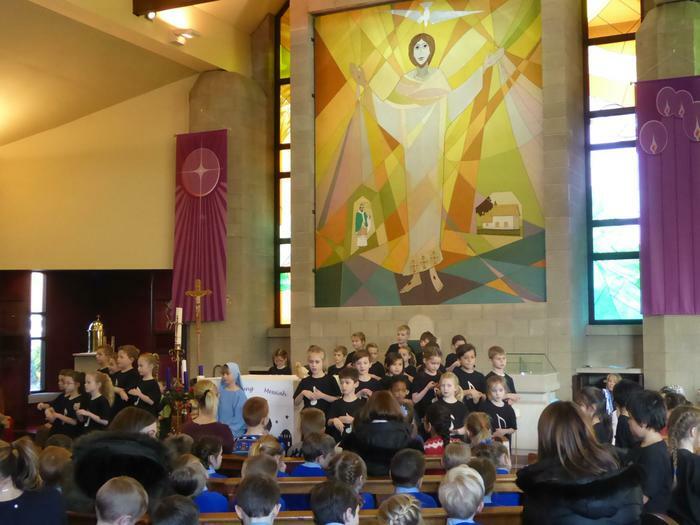 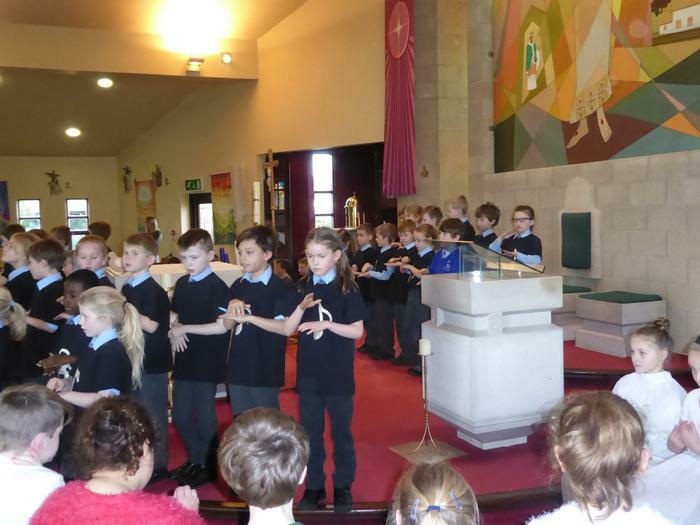 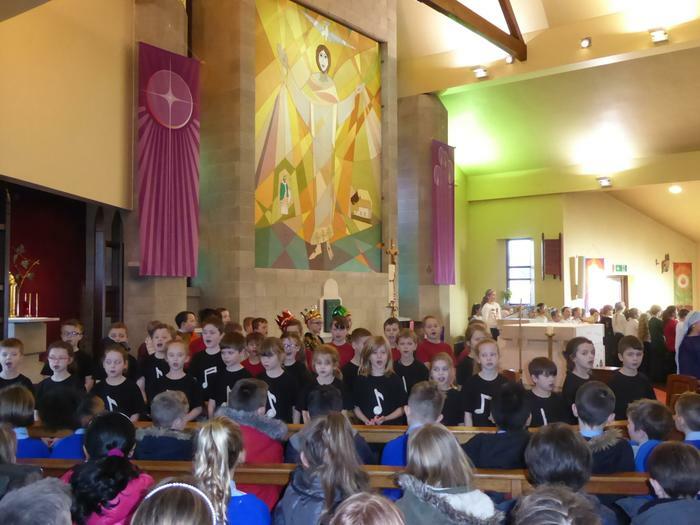 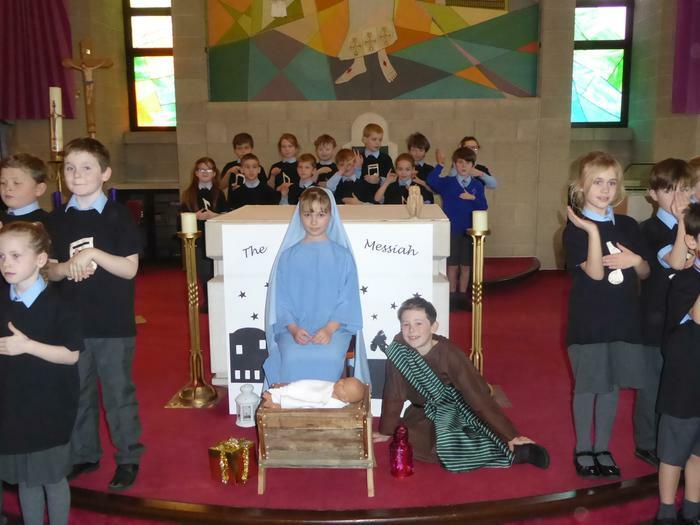 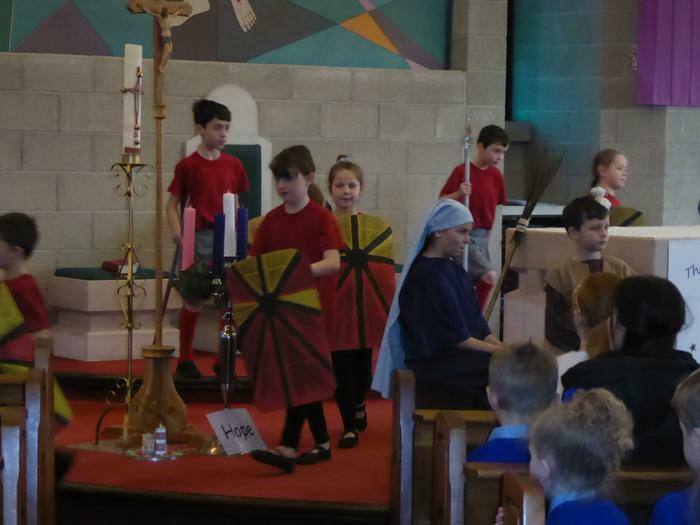 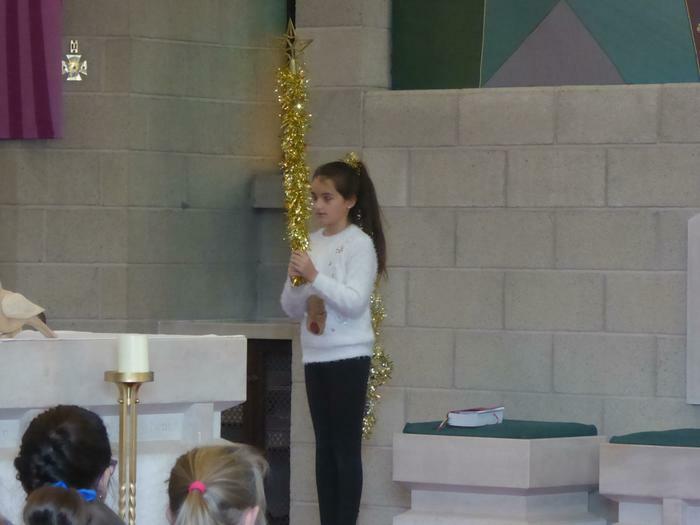 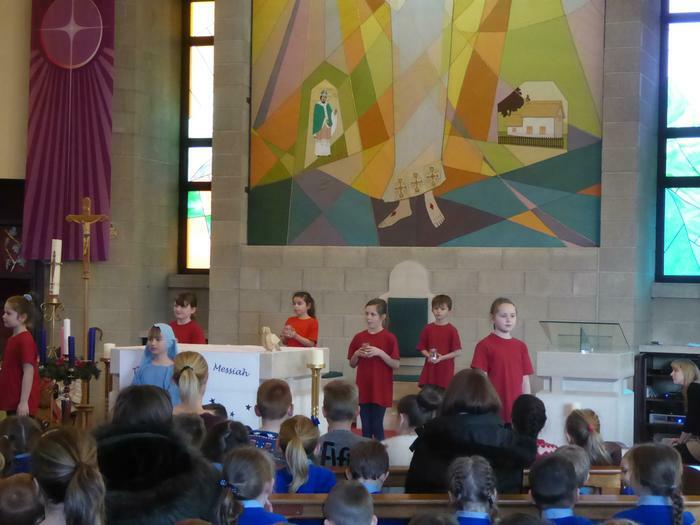 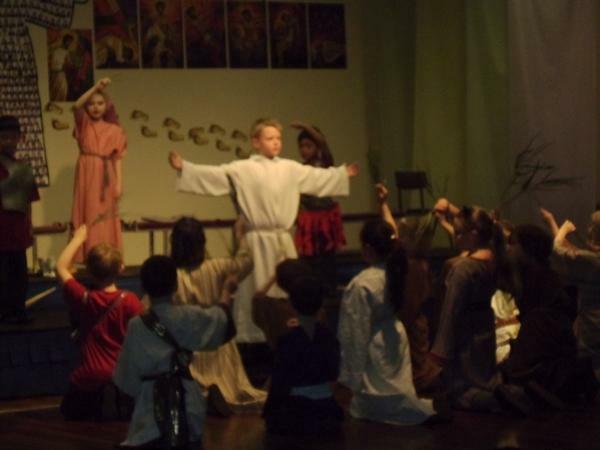 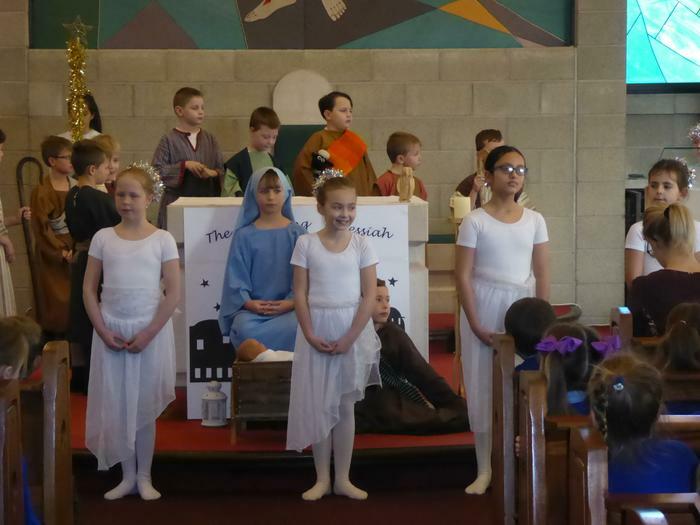 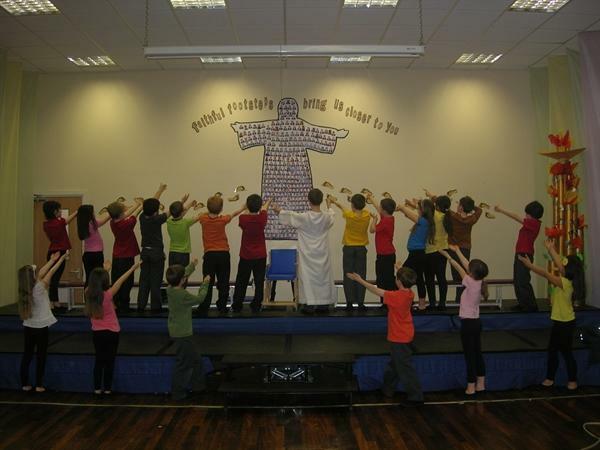 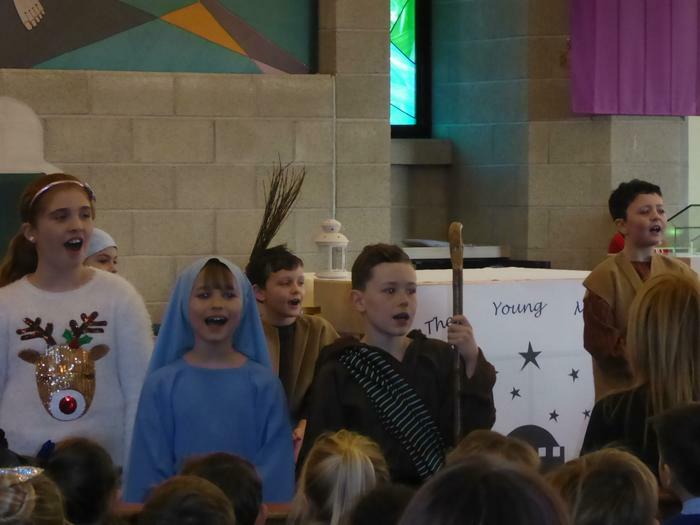 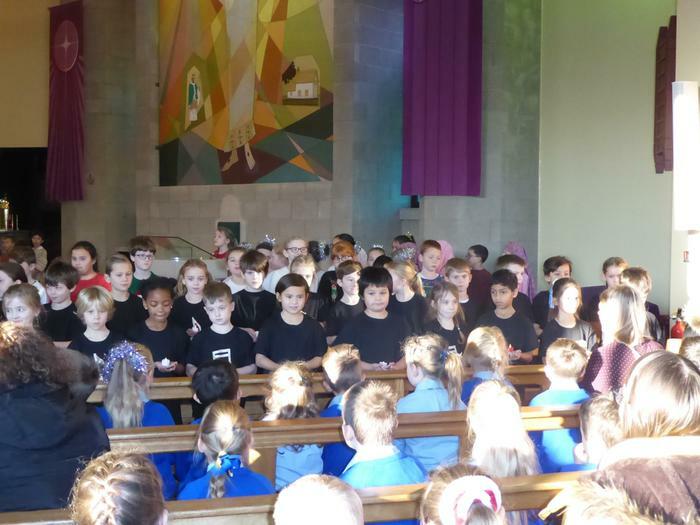 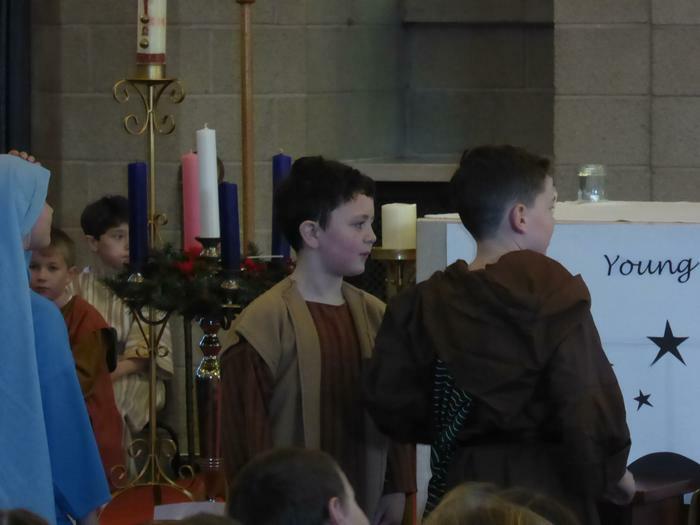 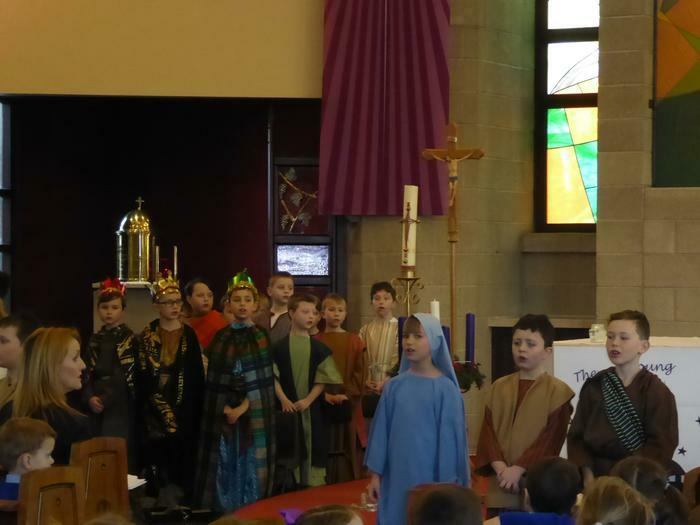 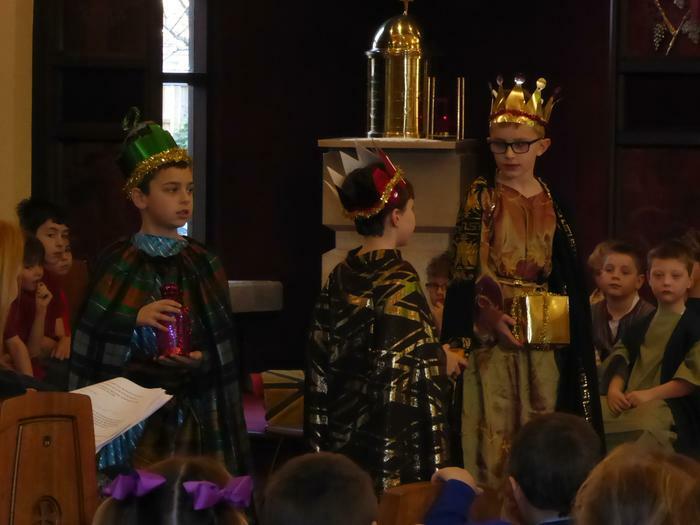 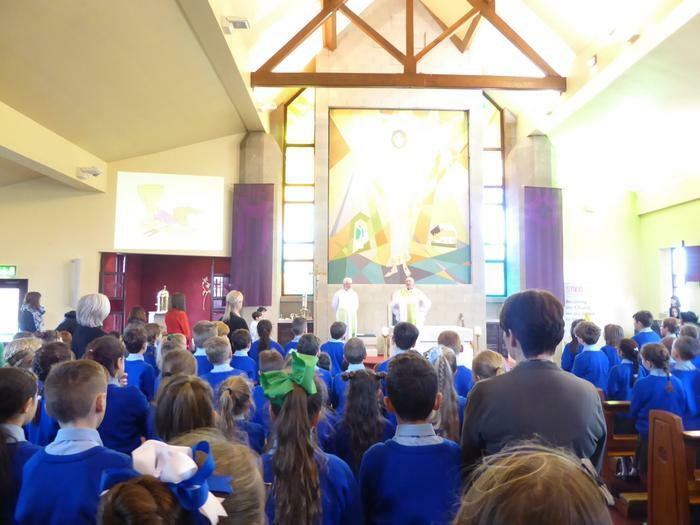 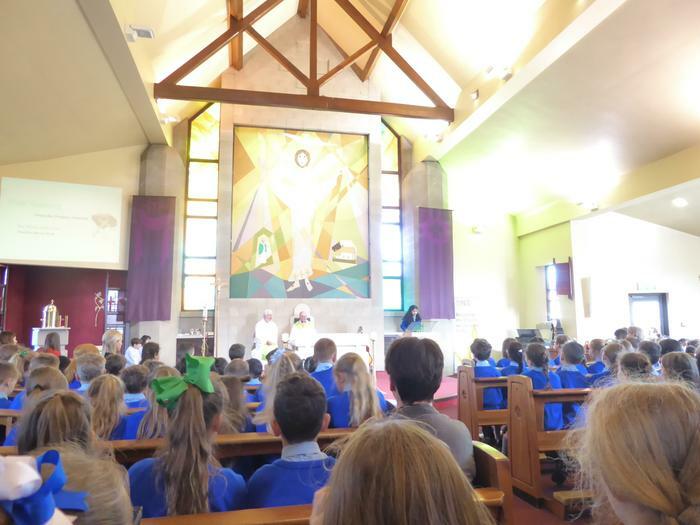 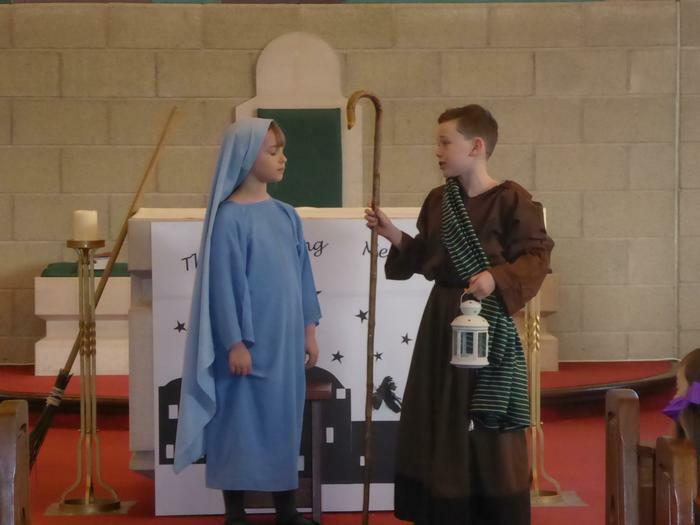 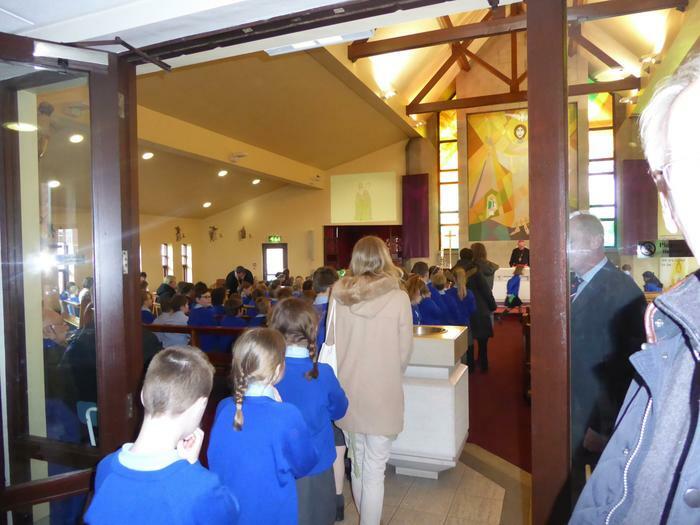 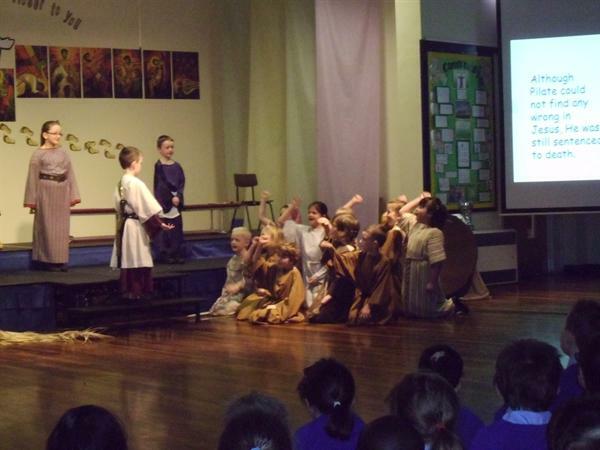 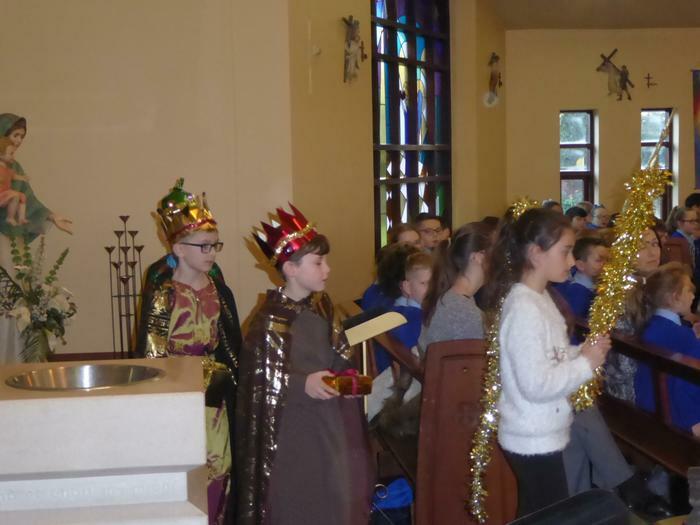 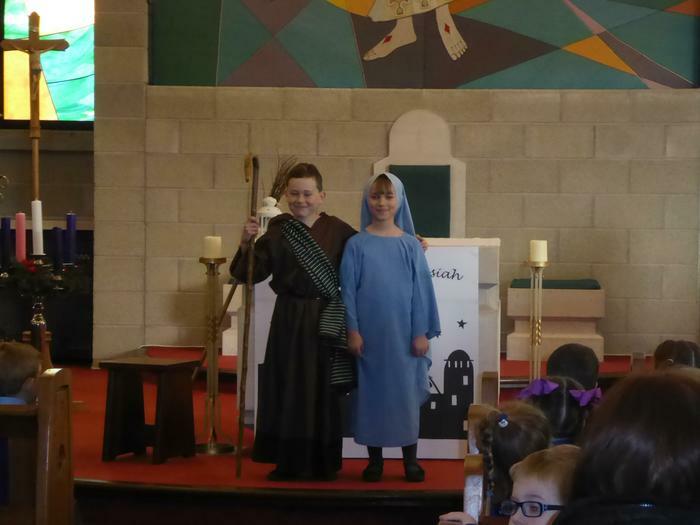 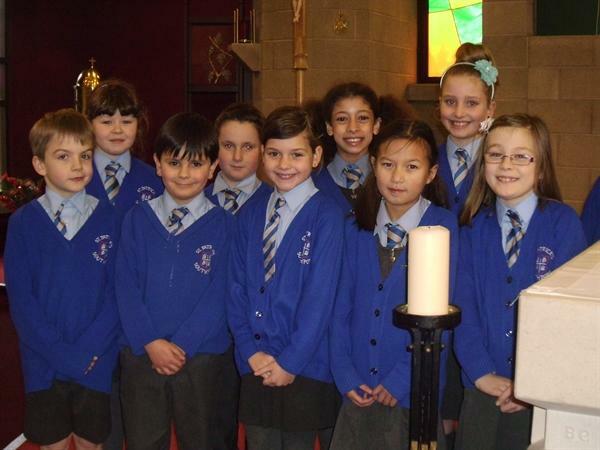 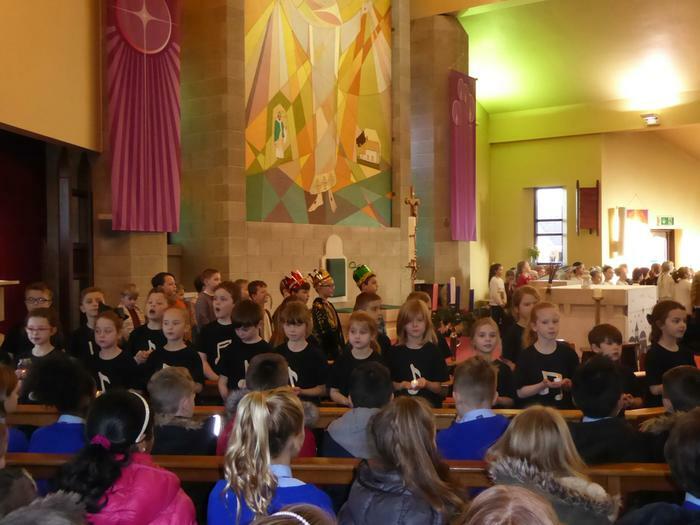 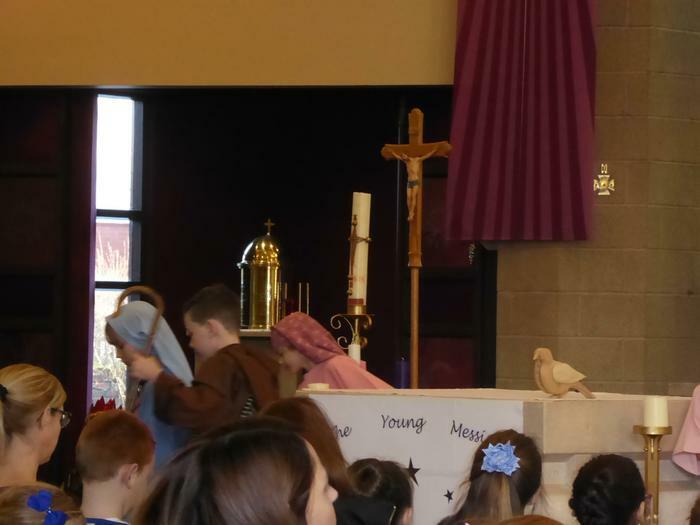 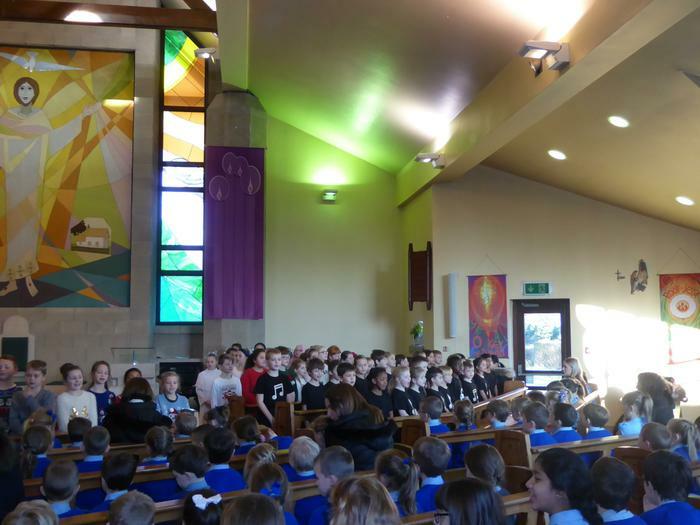 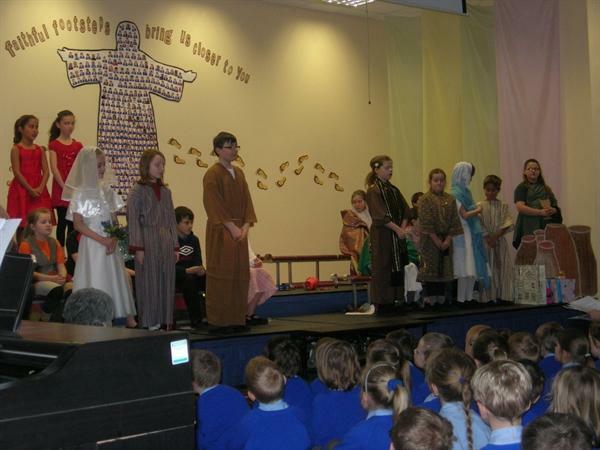 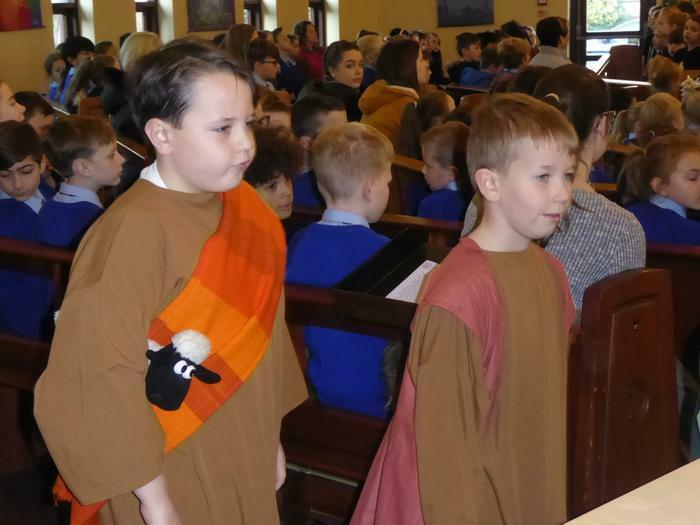 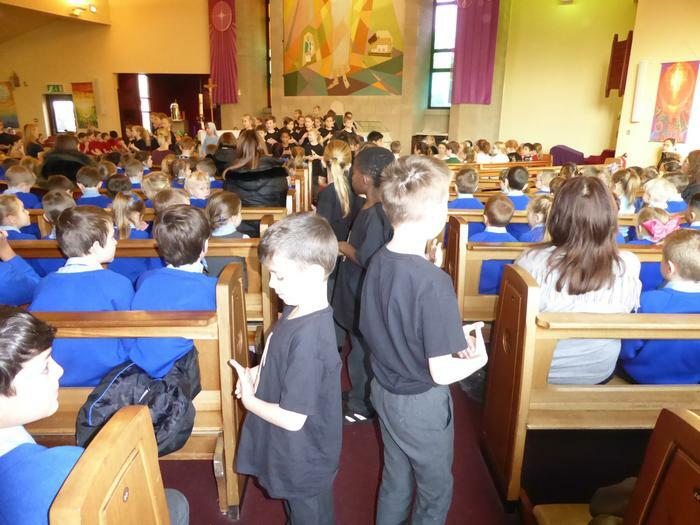 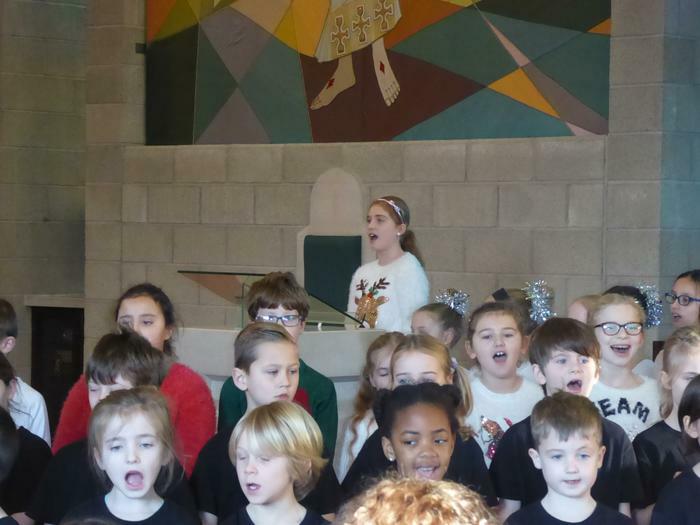 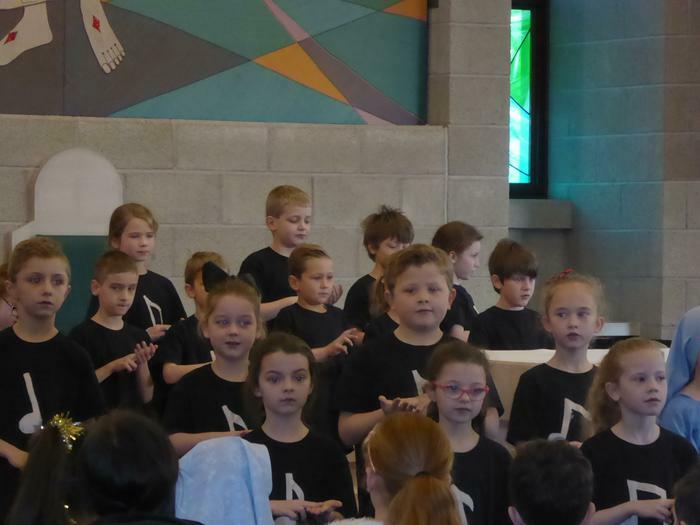 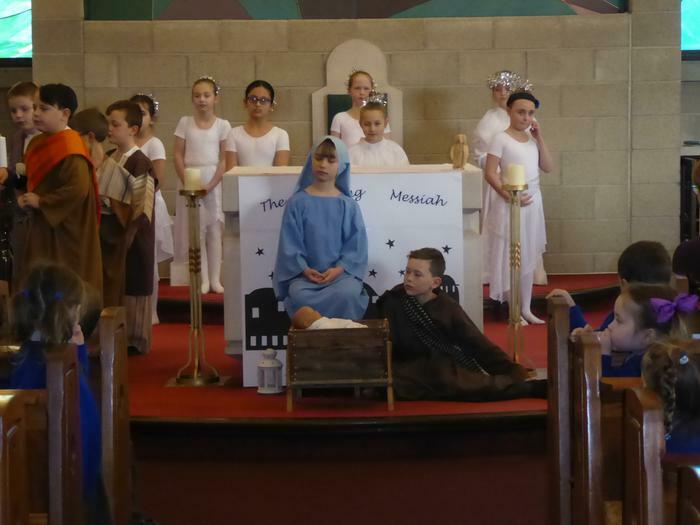 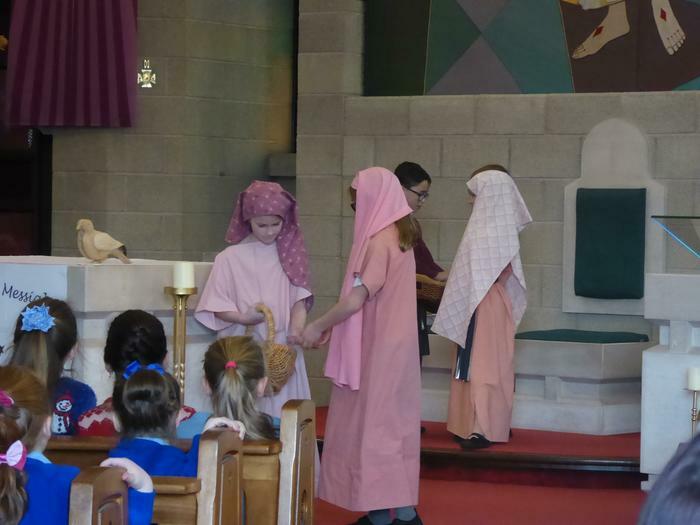 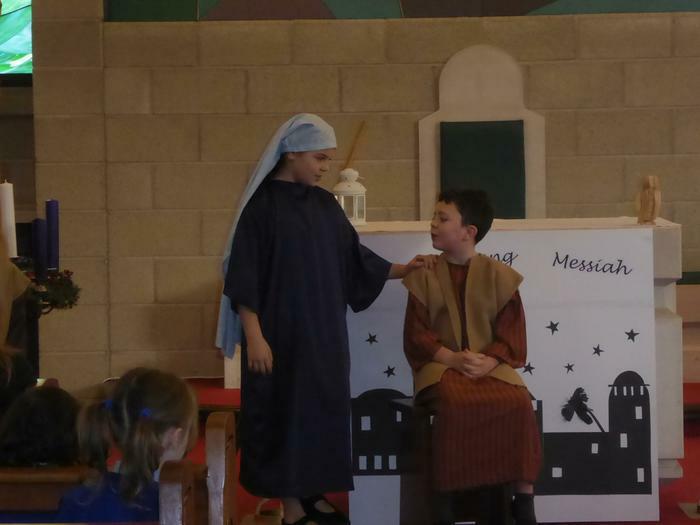 Pupils in Years 3 and 4 presented 'The Young Messiah', a Christmas reflection in St Patrick's Church on Monday 17th and 18th December. 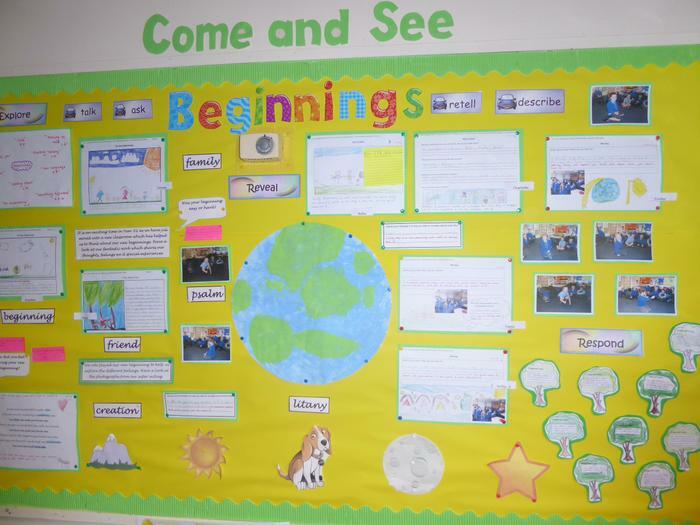 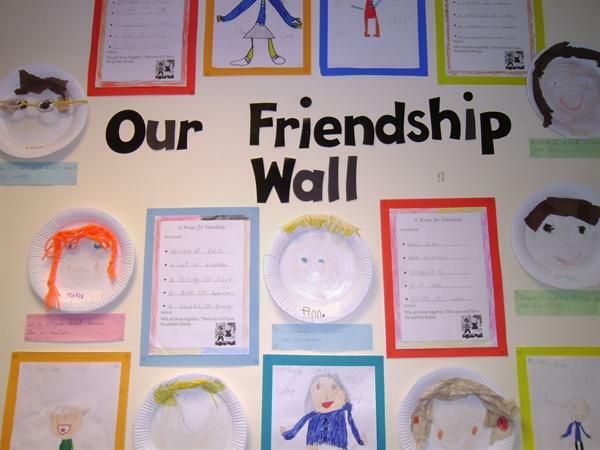 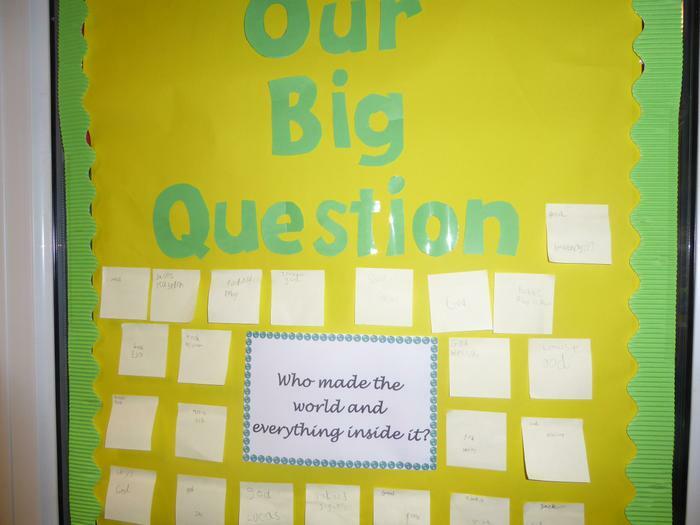 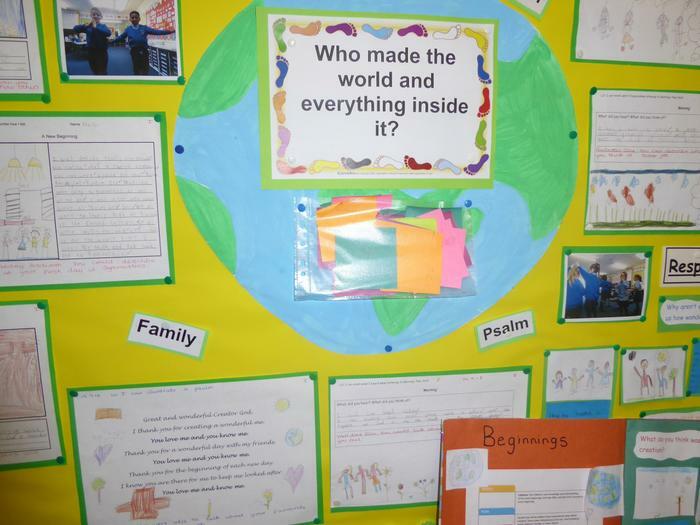 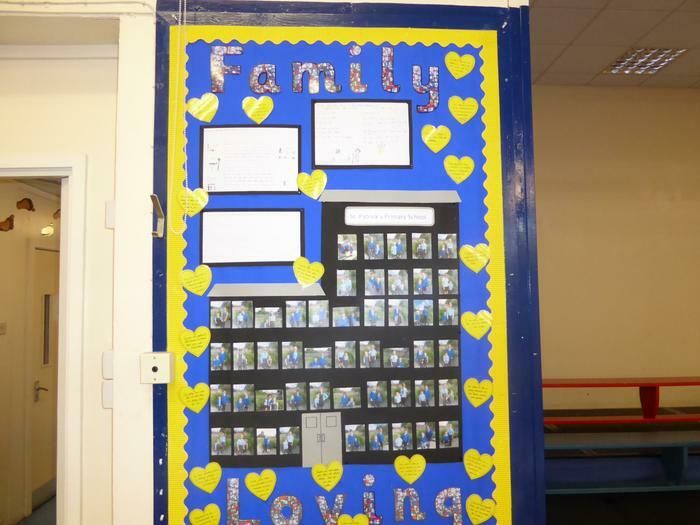 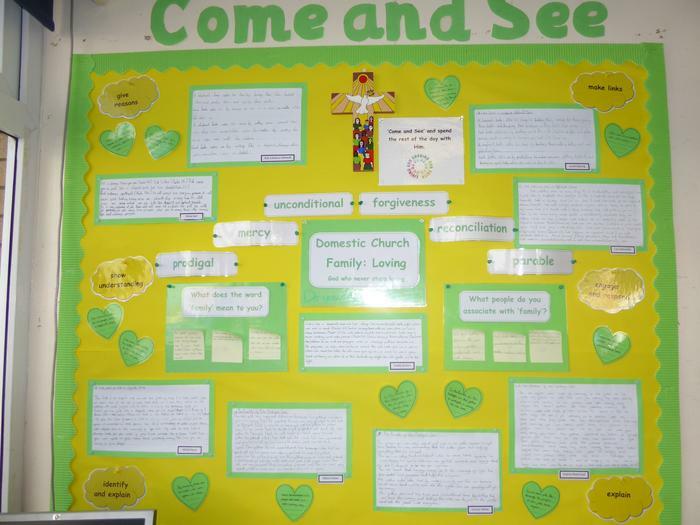 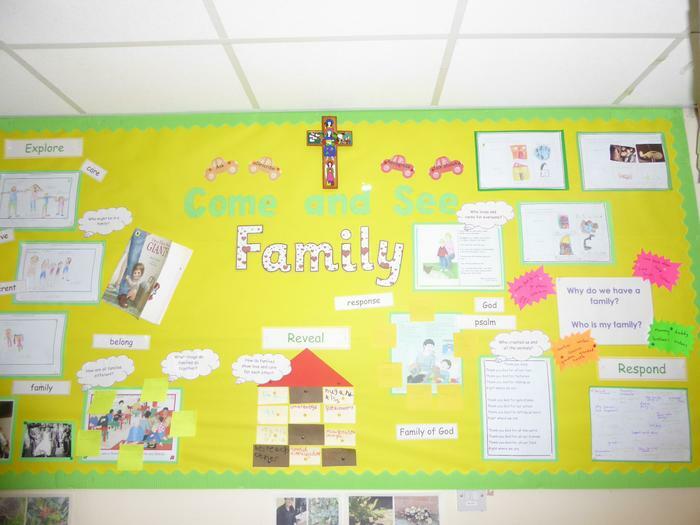 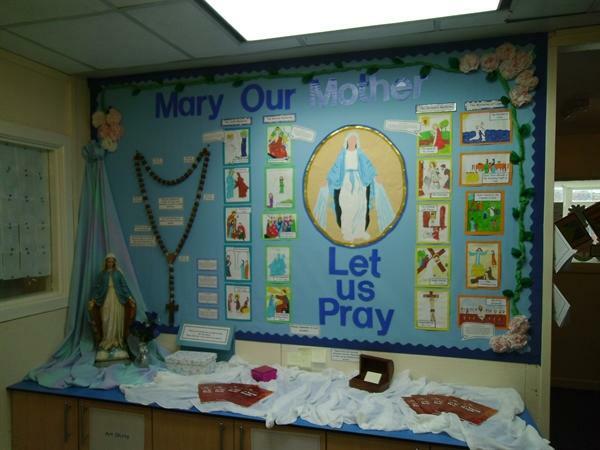 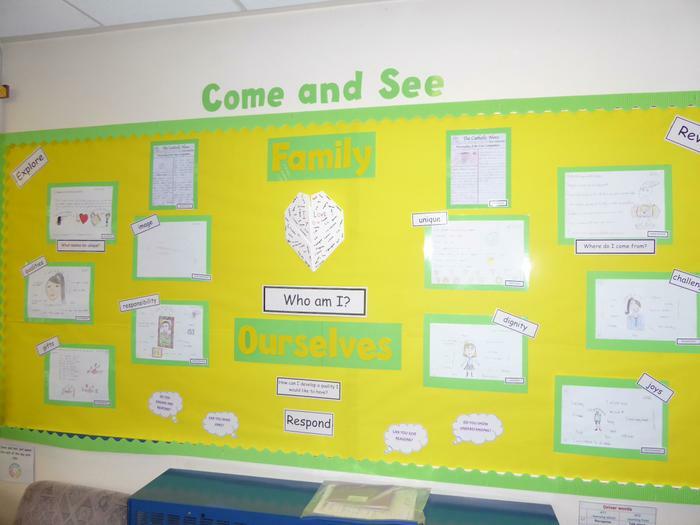 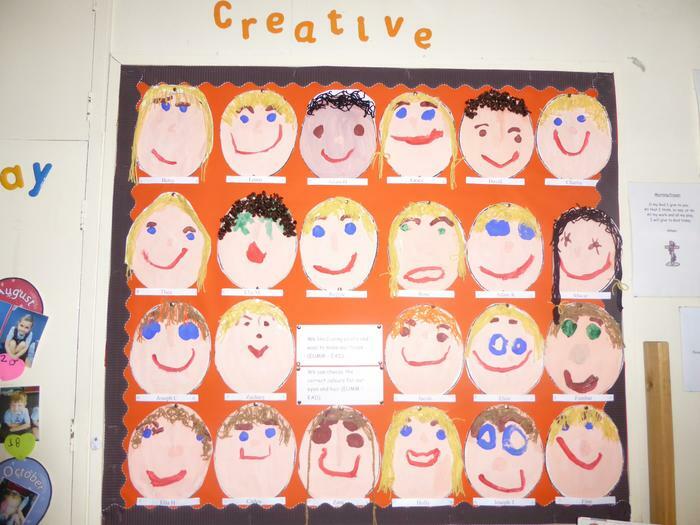 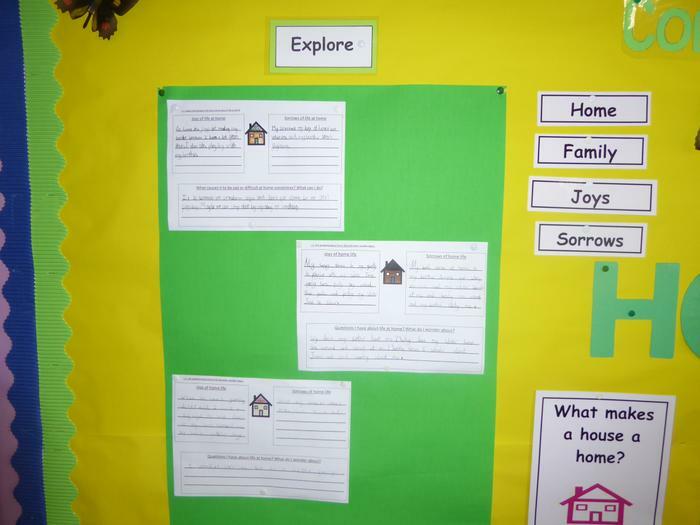 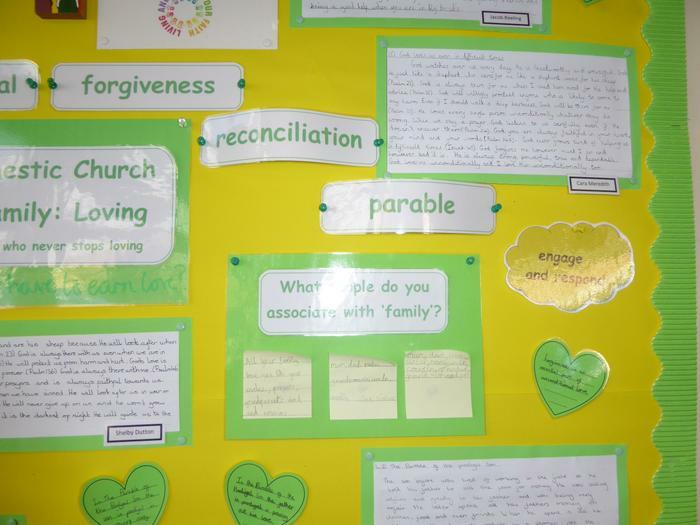 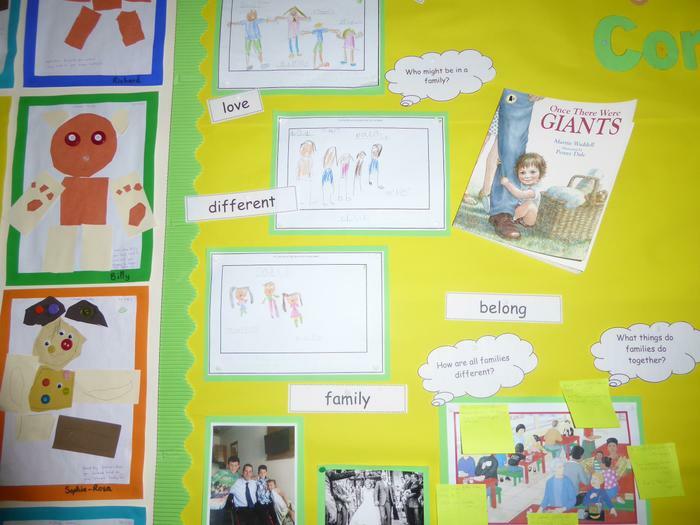 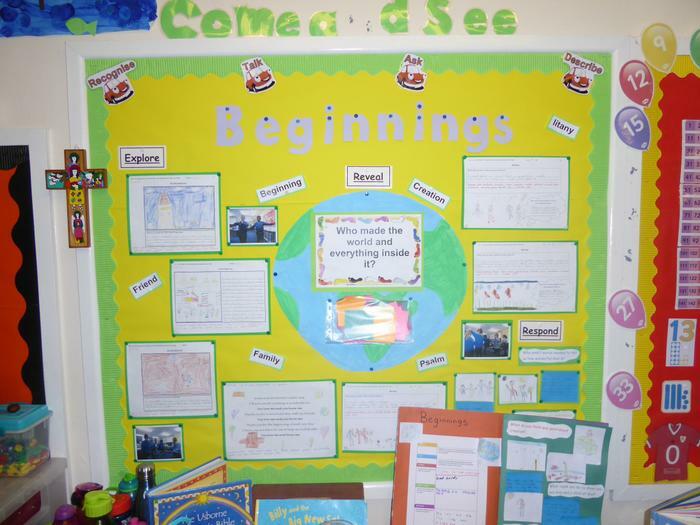 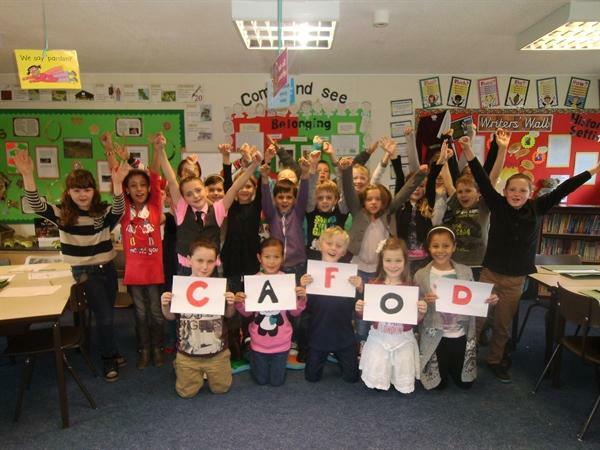 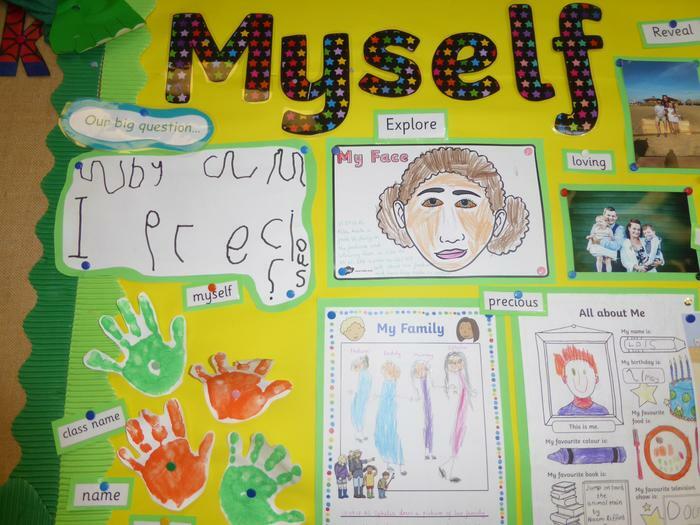 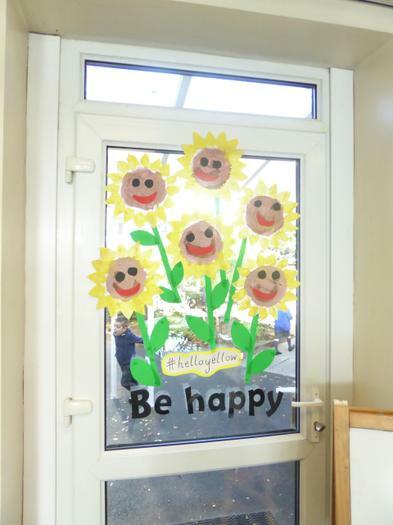 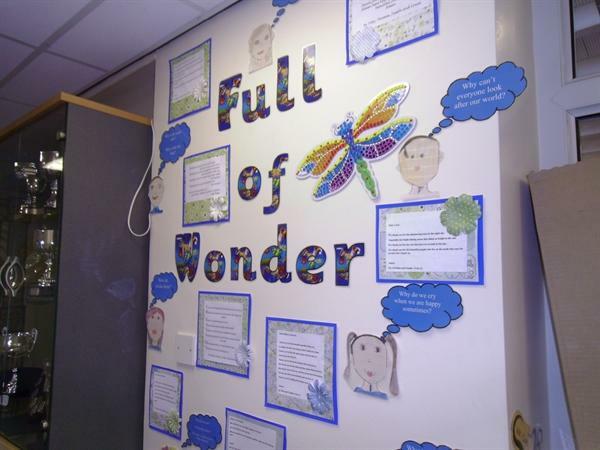 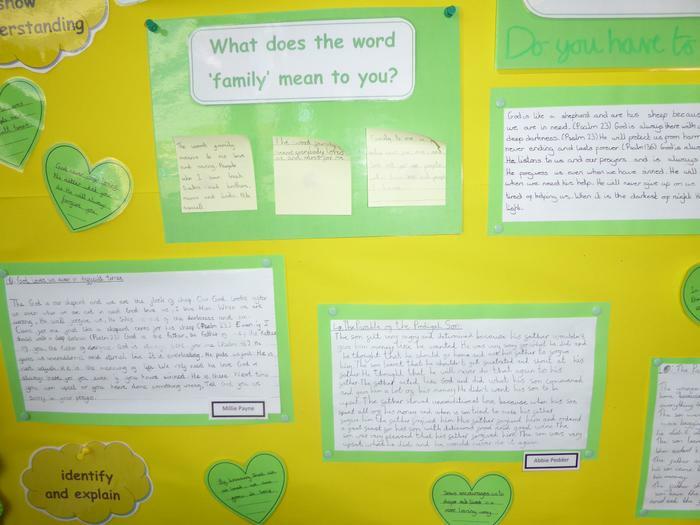 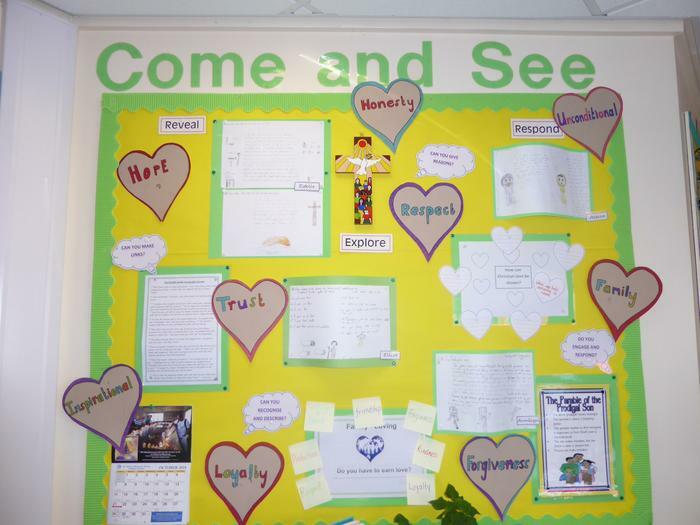 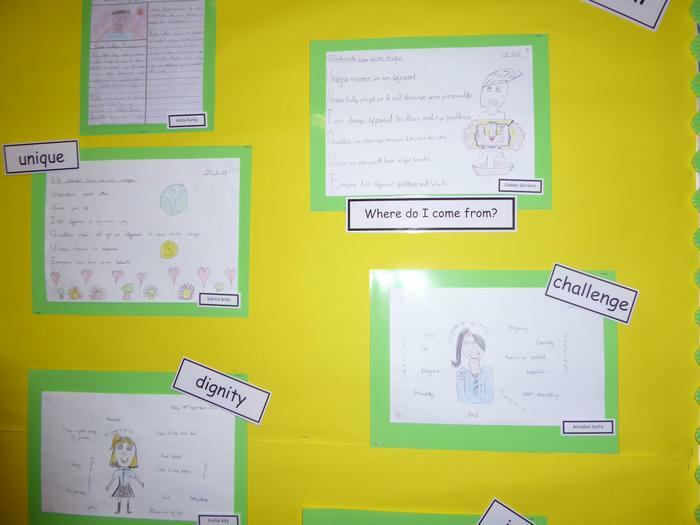 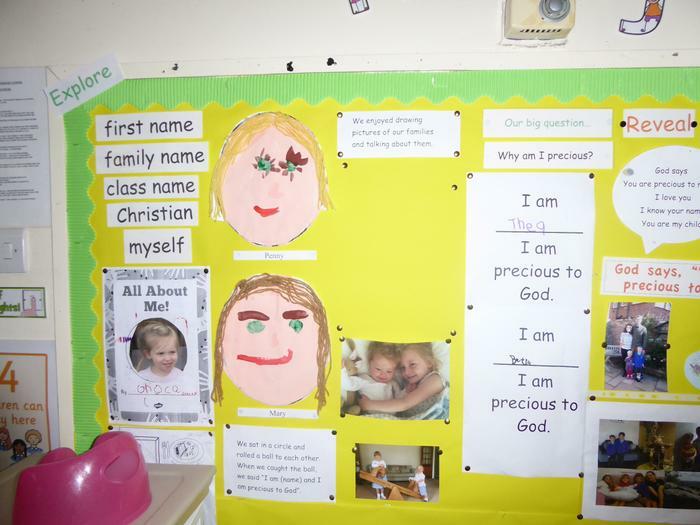 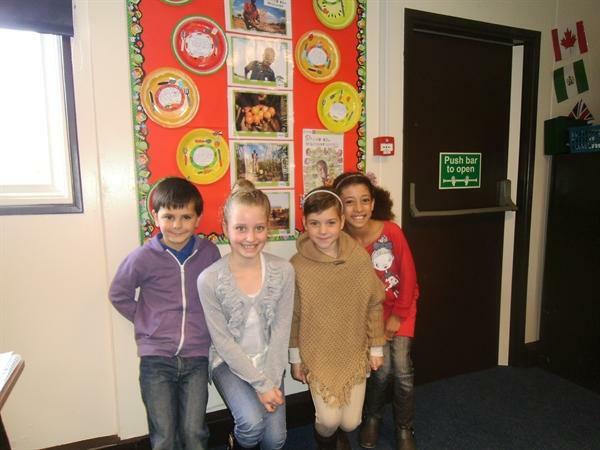 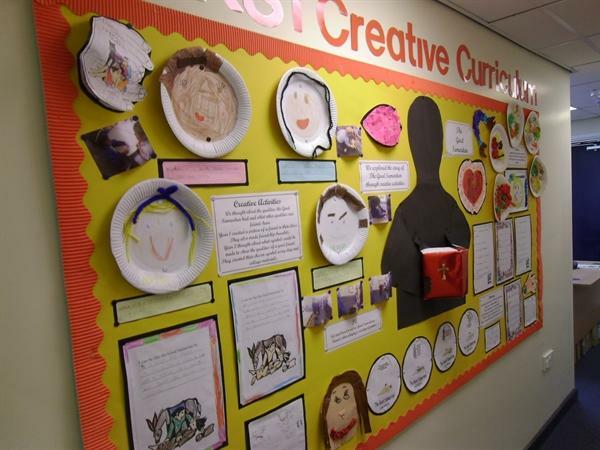 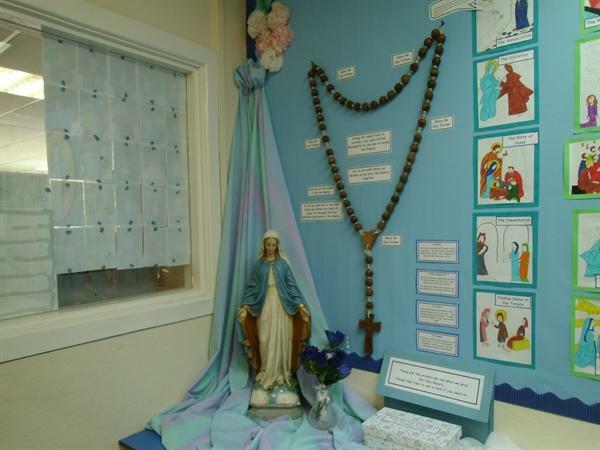 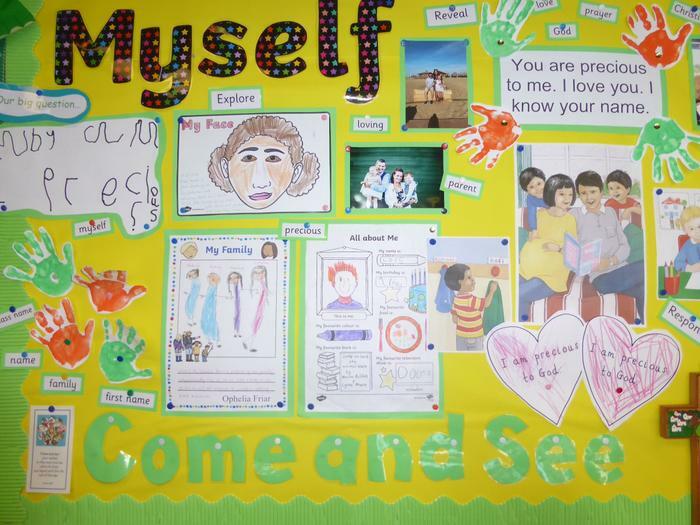 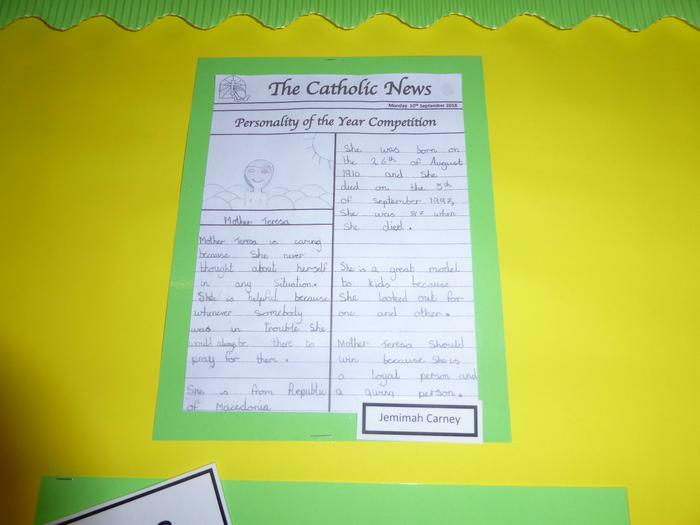 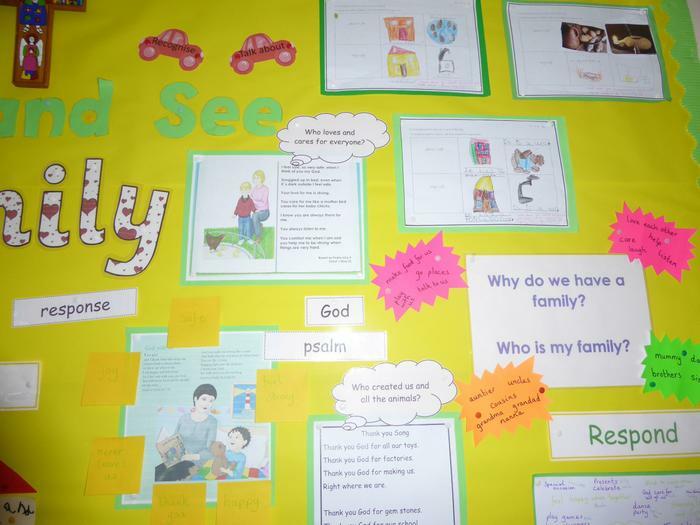 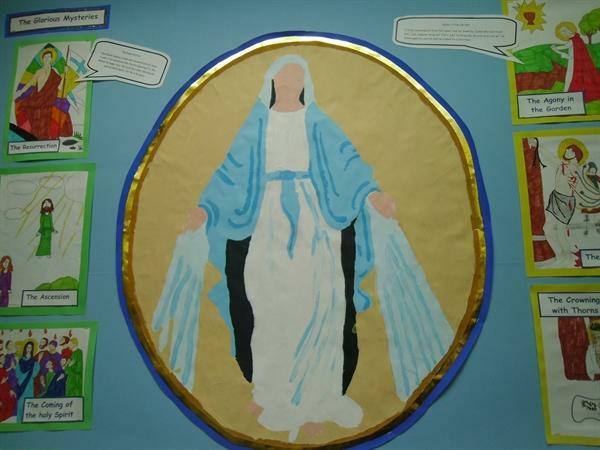 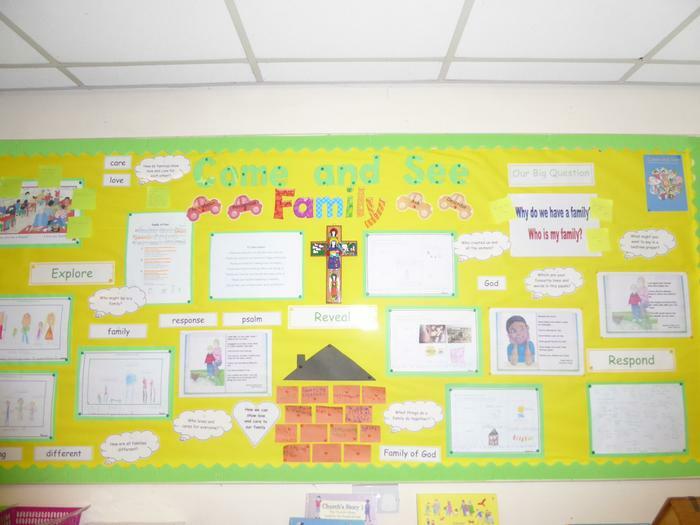 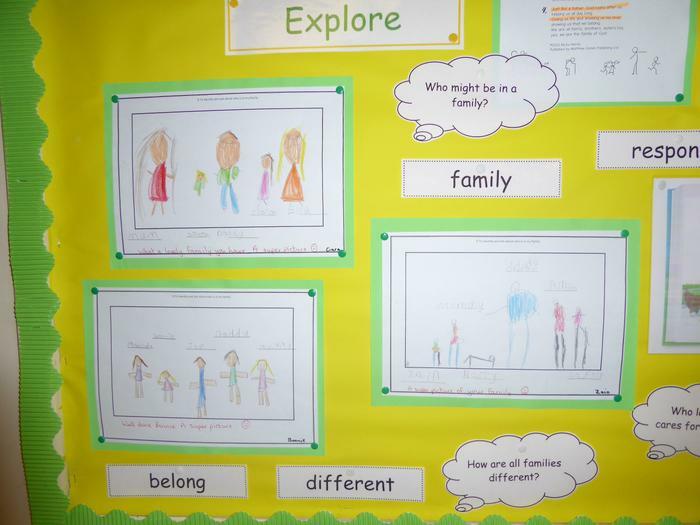 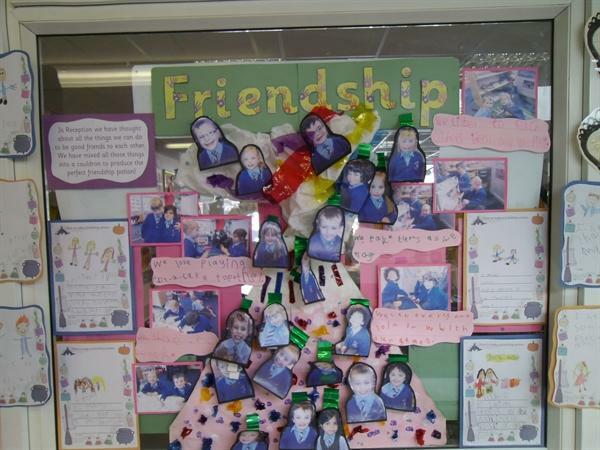 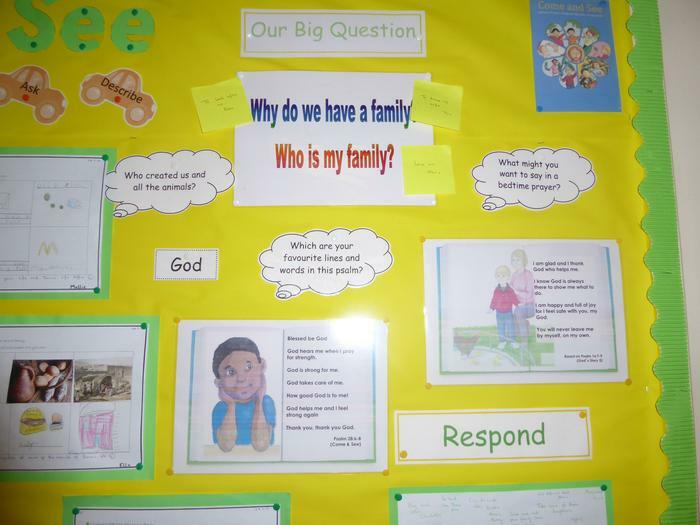 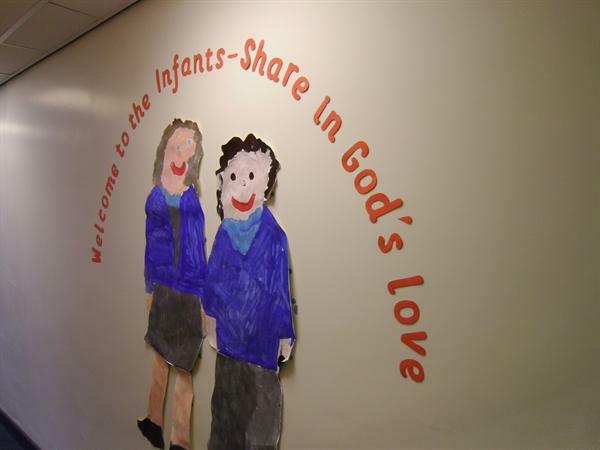 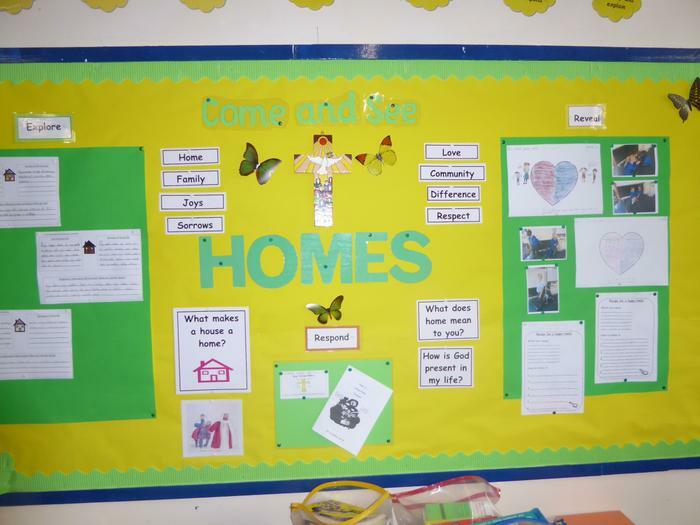 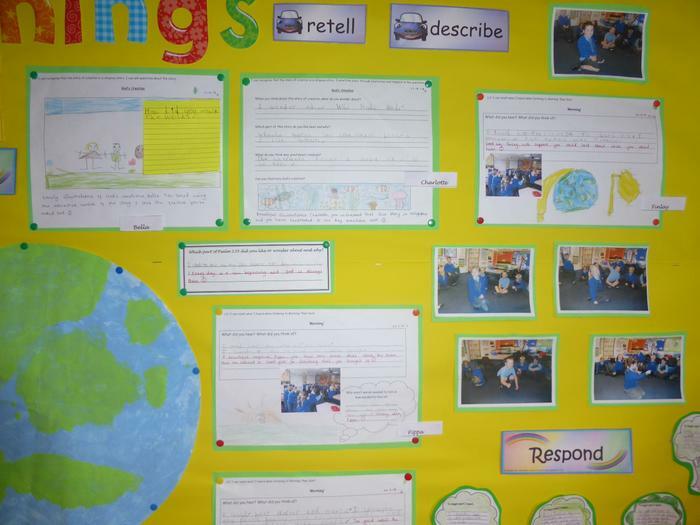 Each class has produced a display featuring the 'Family' theme. 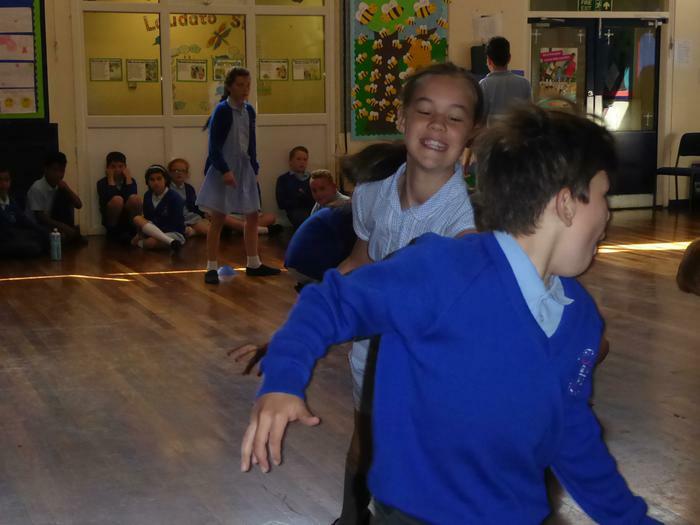 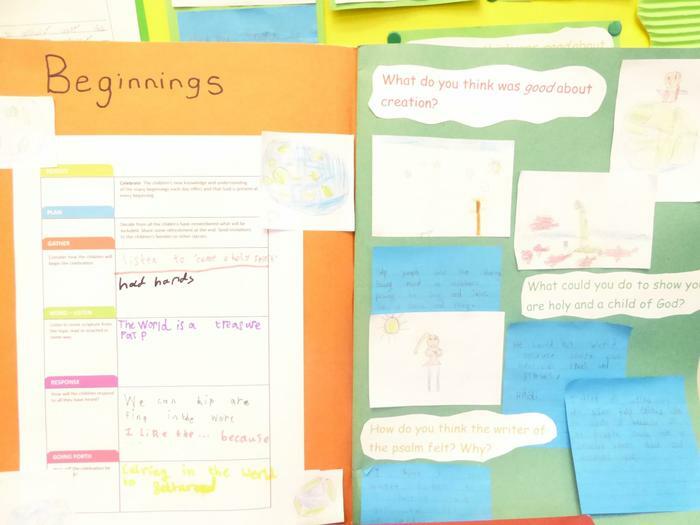 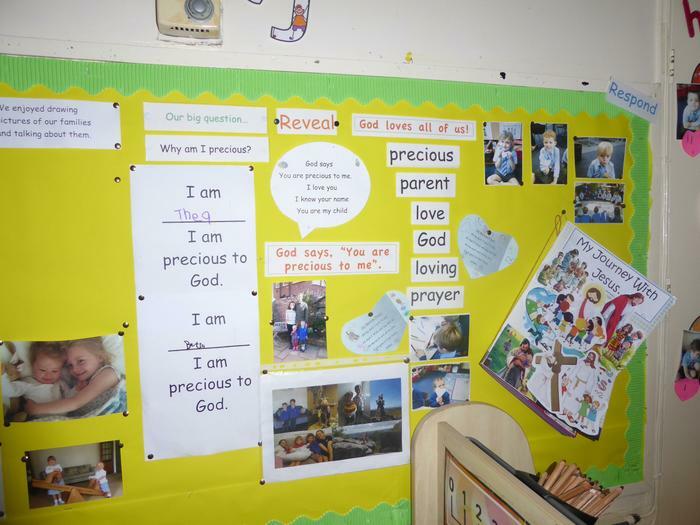 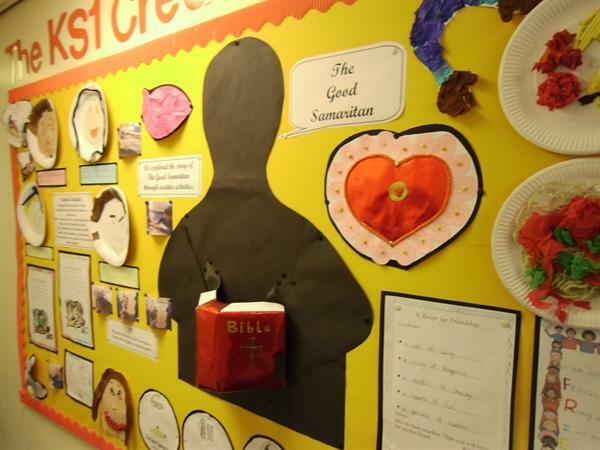 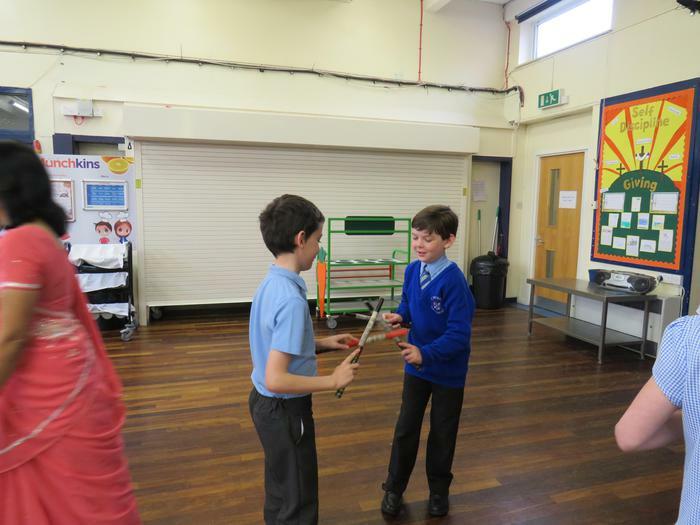 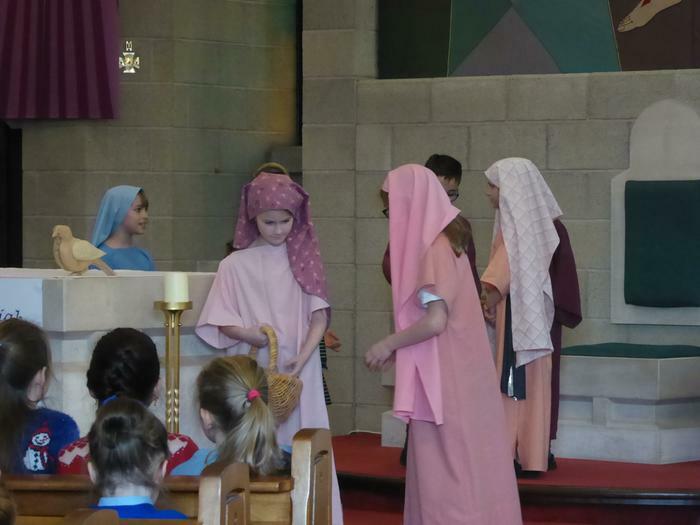 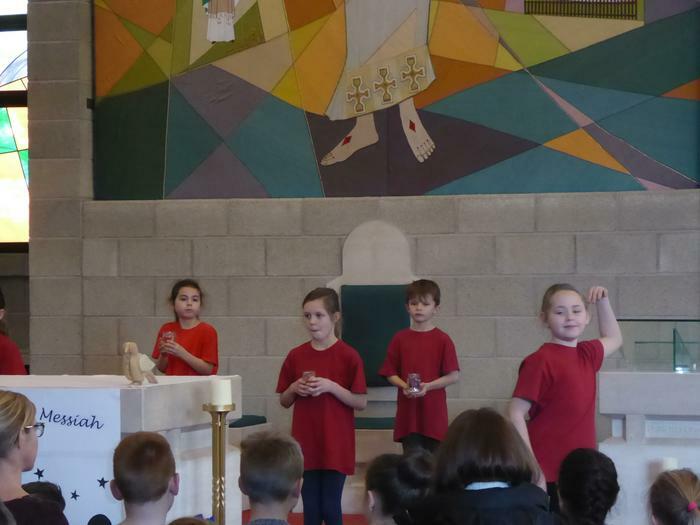 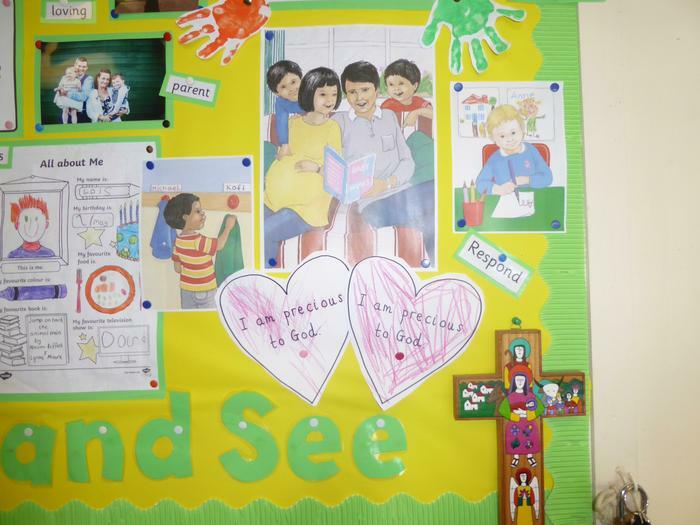 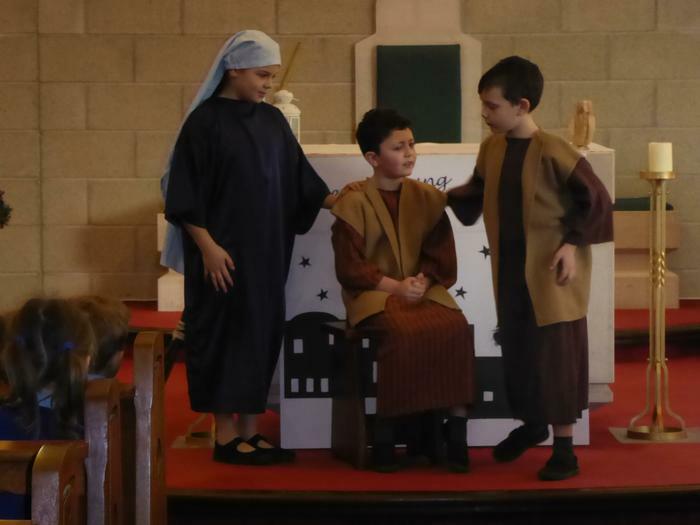 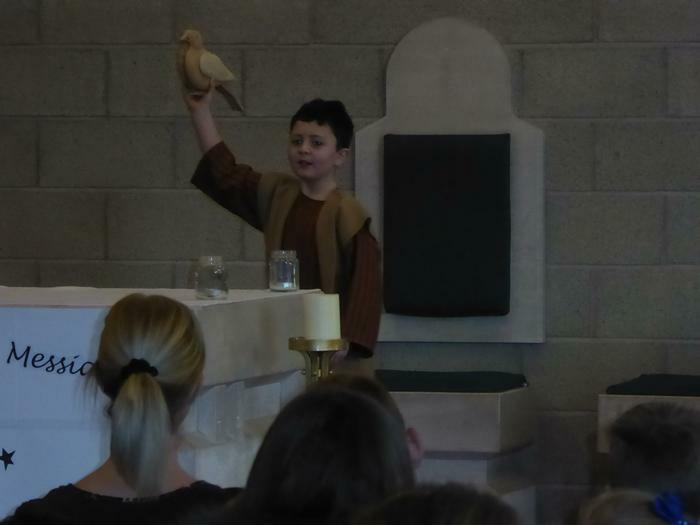 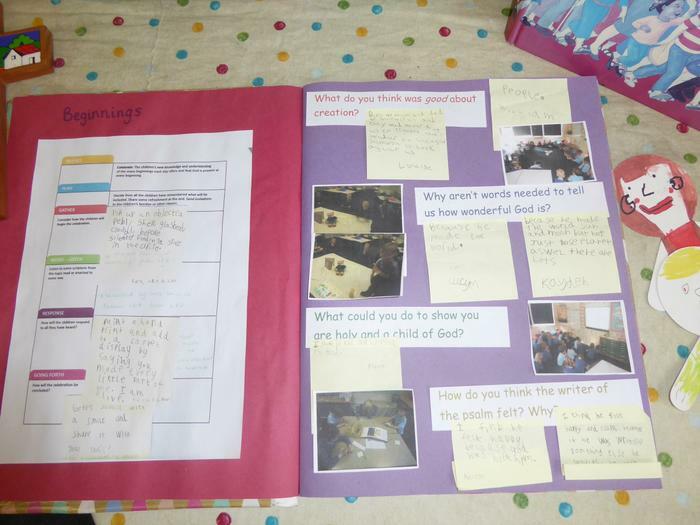 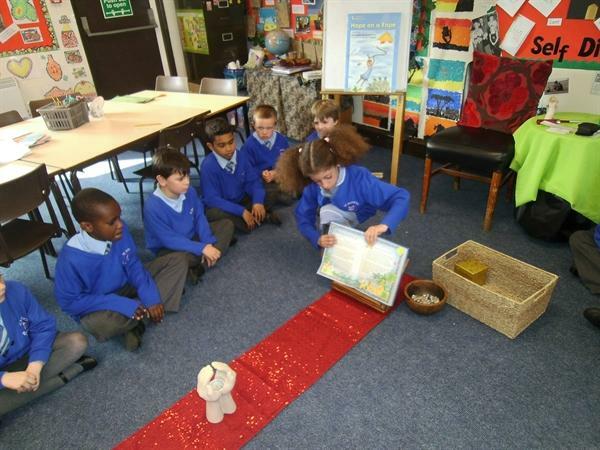 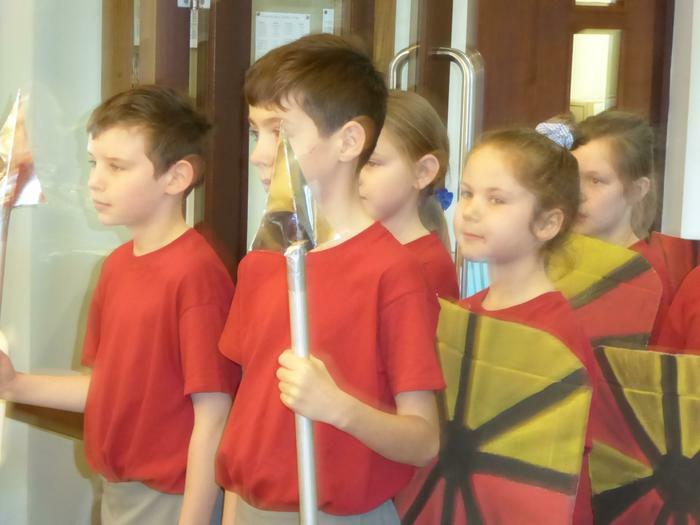 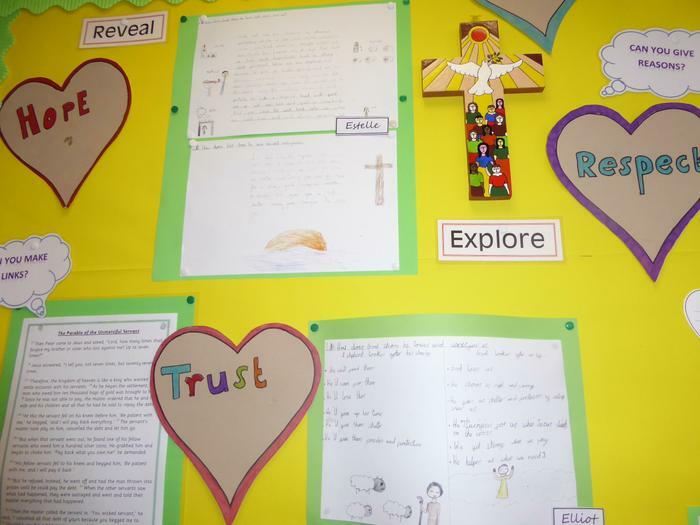 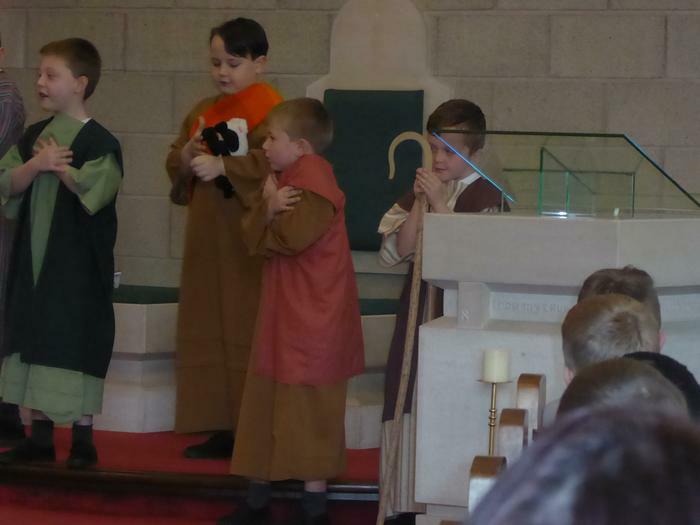 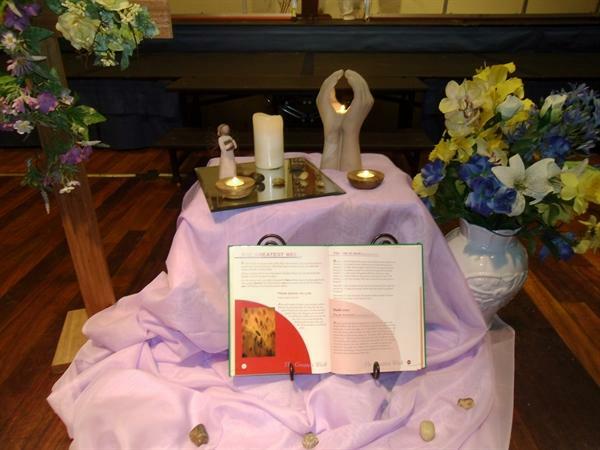 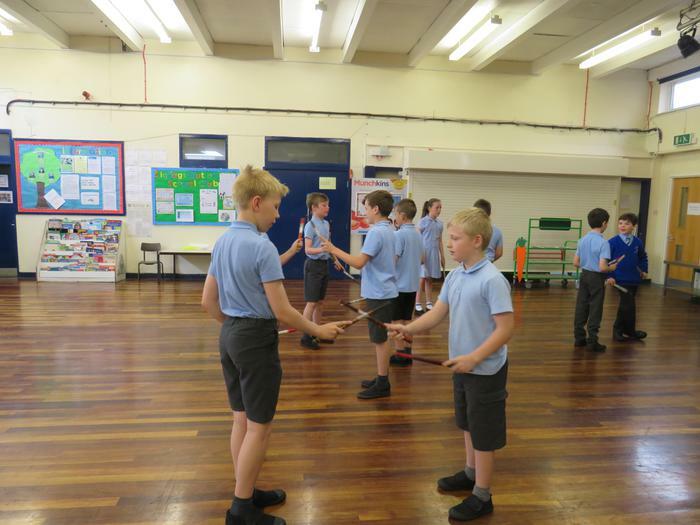 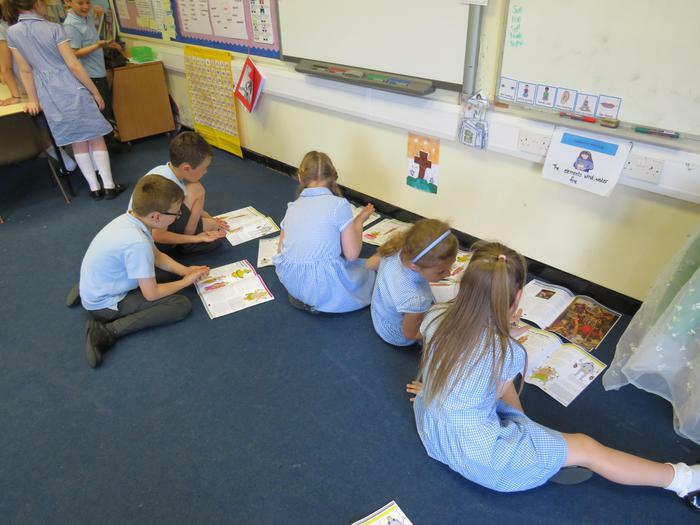 Pupils enjoy exploring, sharing Scripture and responding through role play and written activities that are engaging and provide challenge. 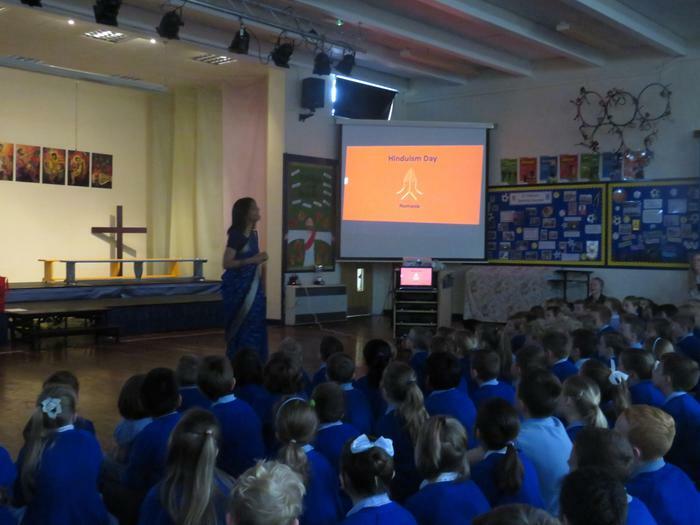 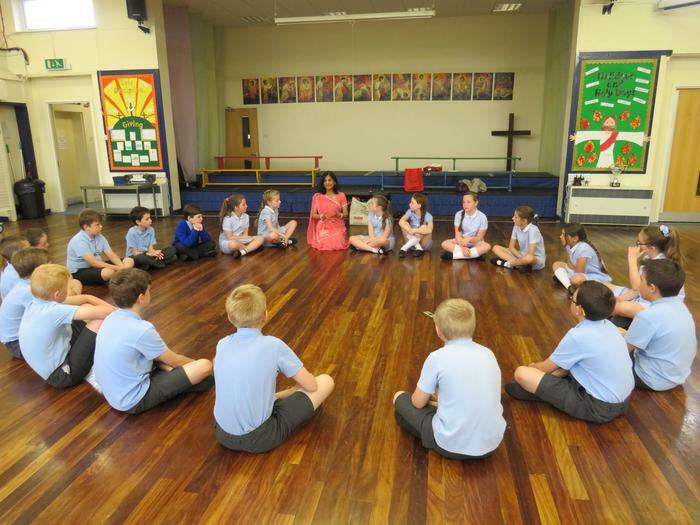 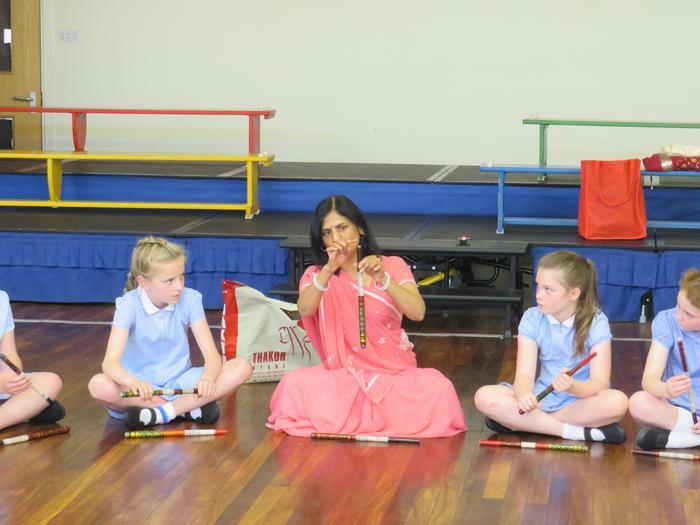 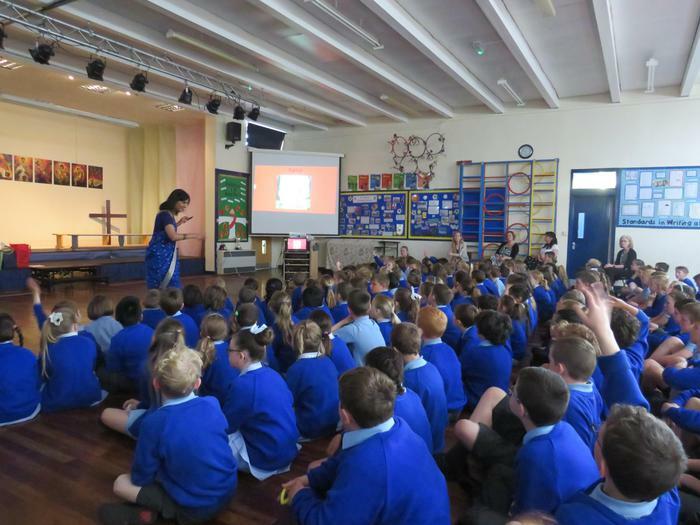 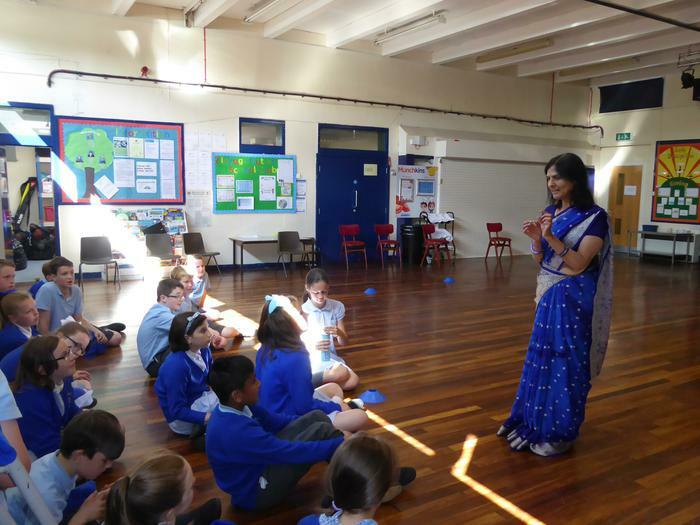 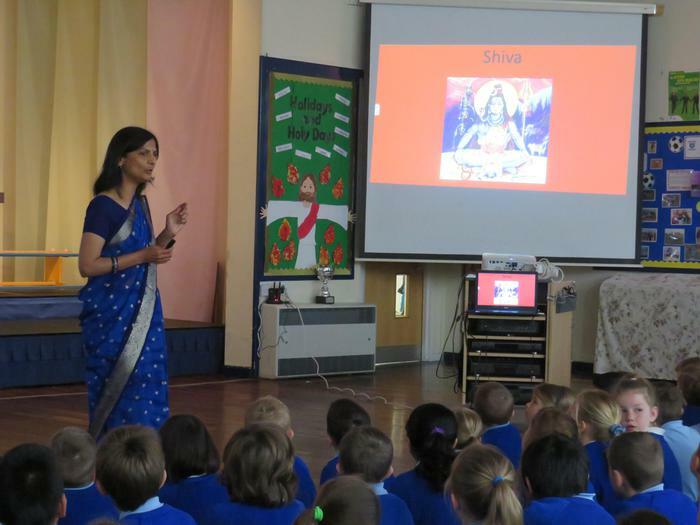 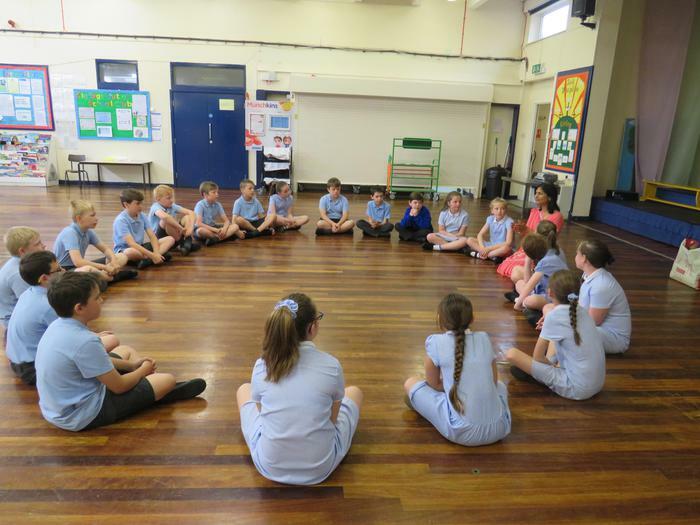 Prity Mistry, a practising Hindu visited our school on 23rd and 24th May 2017 to talk to us about her faith. 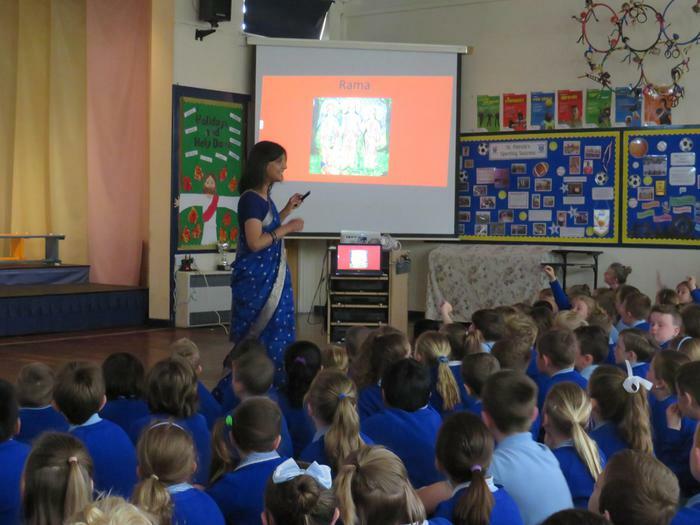 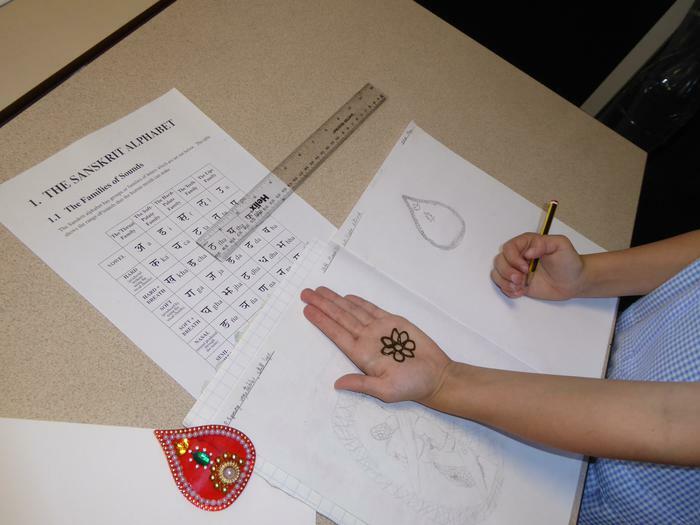 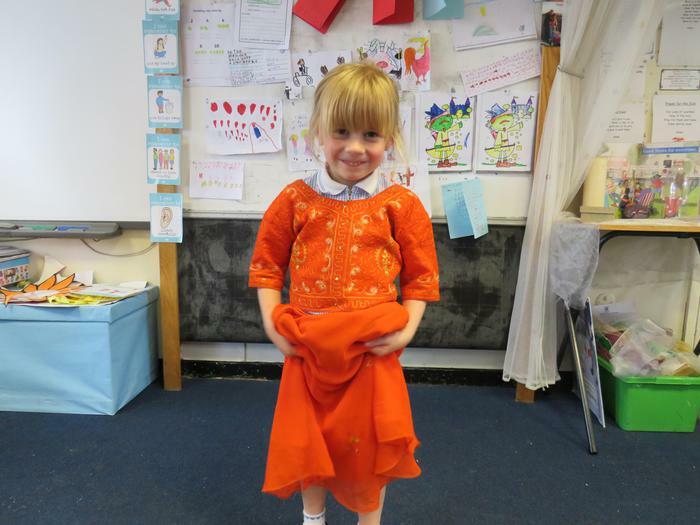 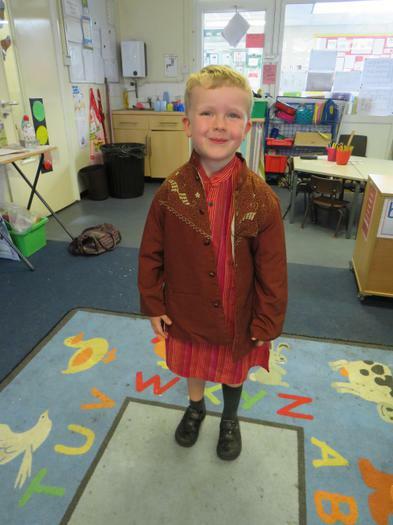 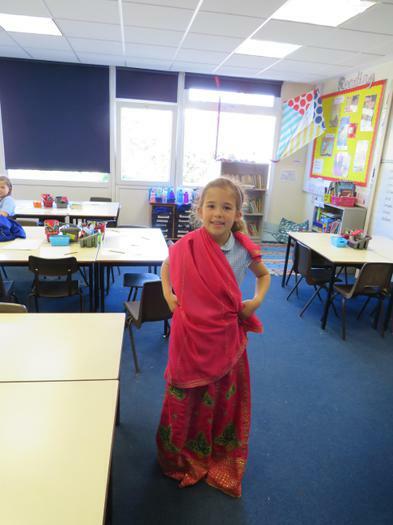 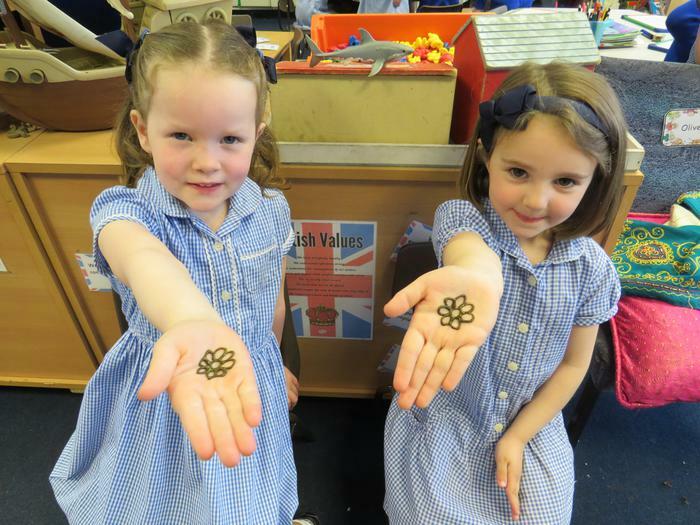 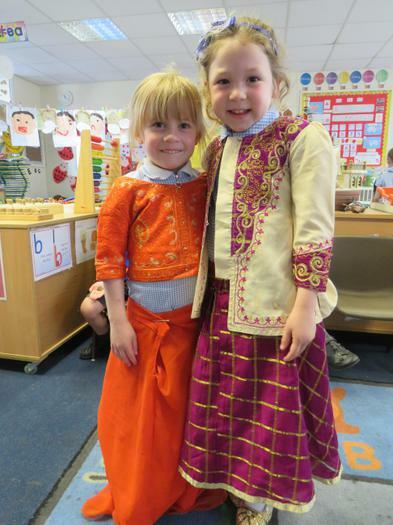 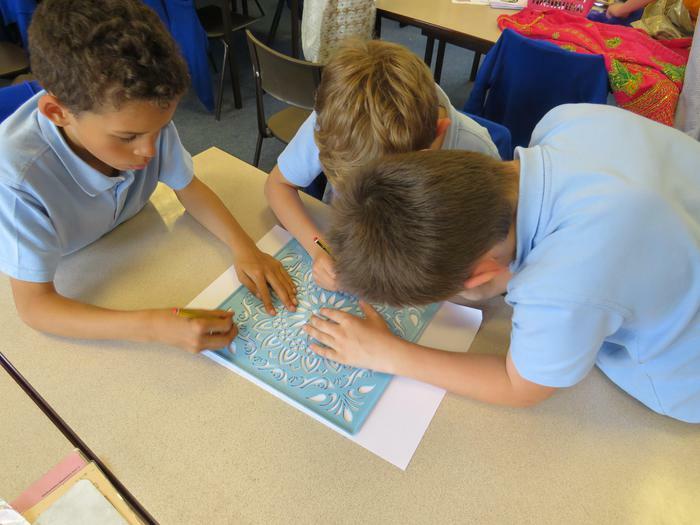 We enjoyed learning about Hindu Festivals and worship, exploring Holy scriptures and writing in sanskrit. 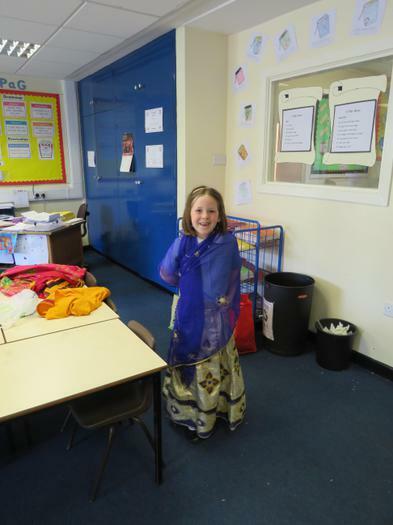 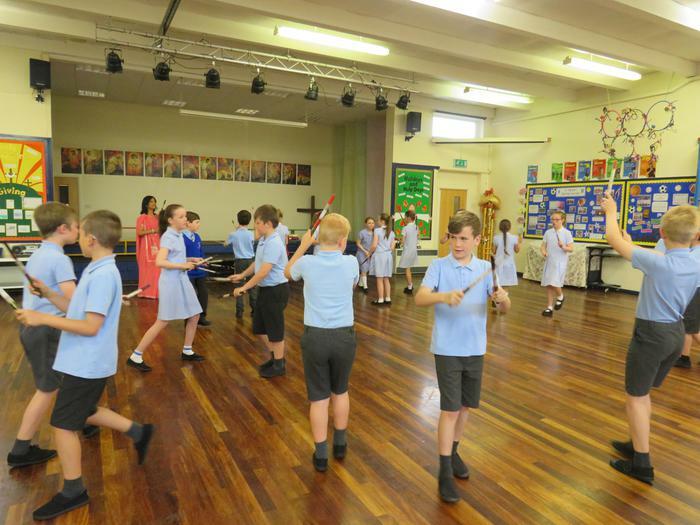 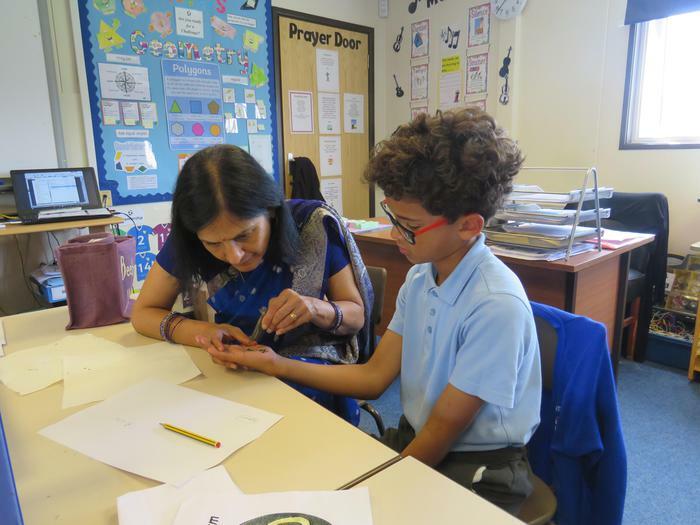 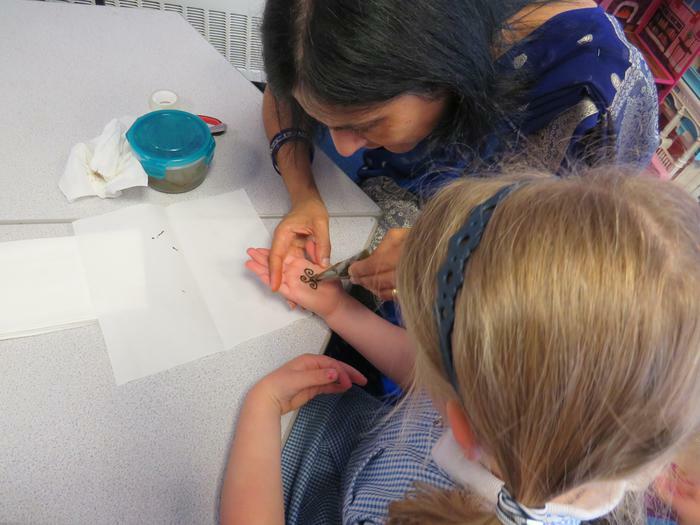 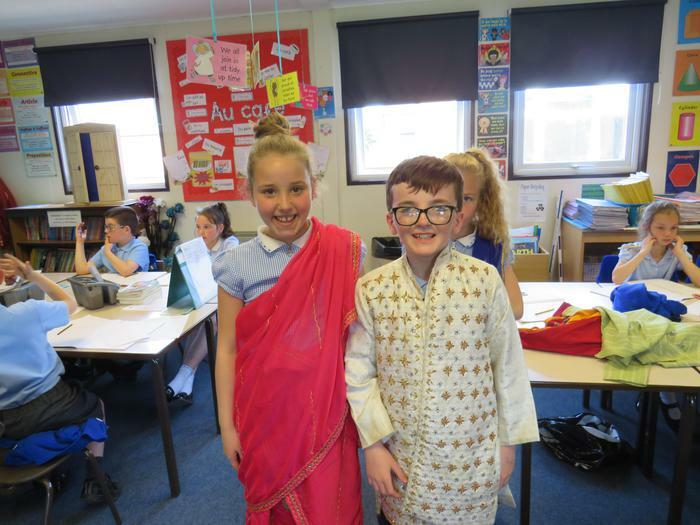 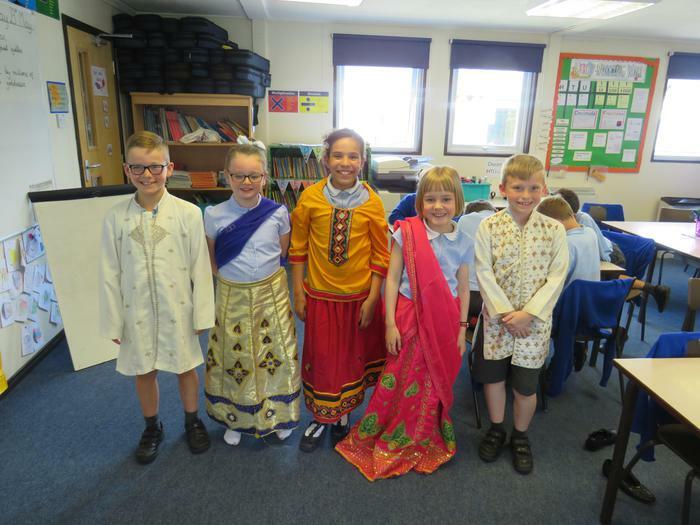 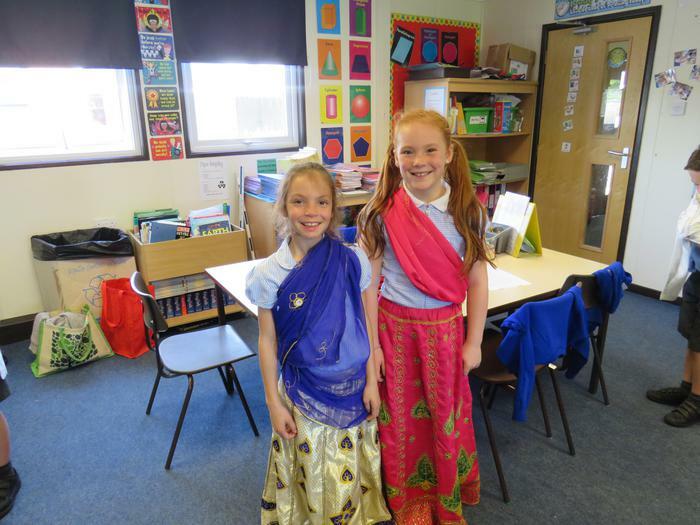 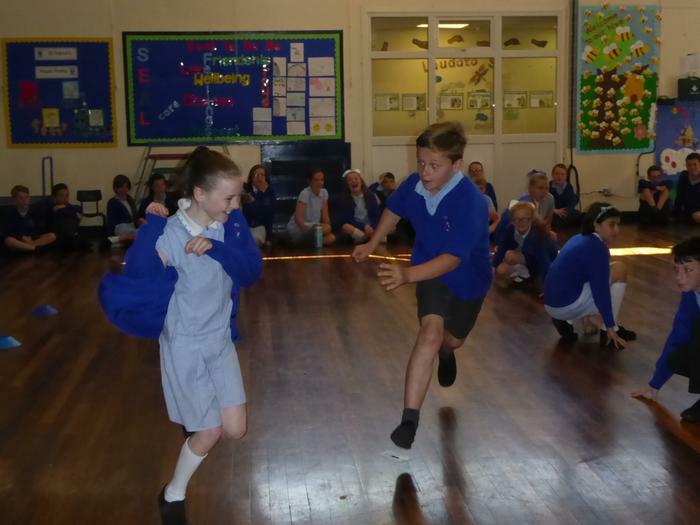 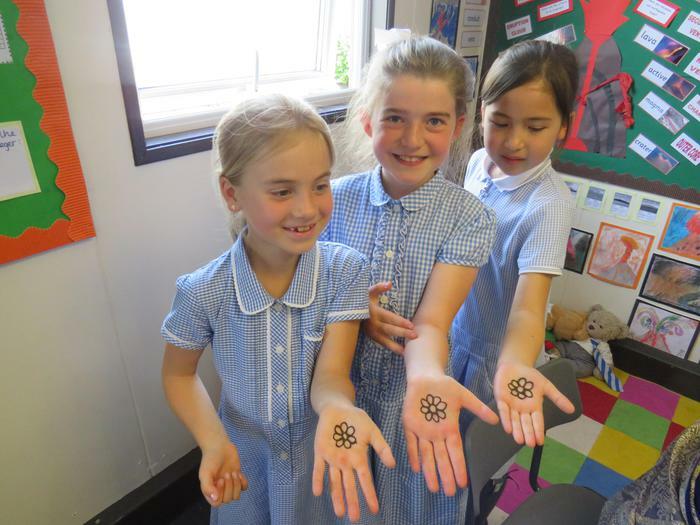 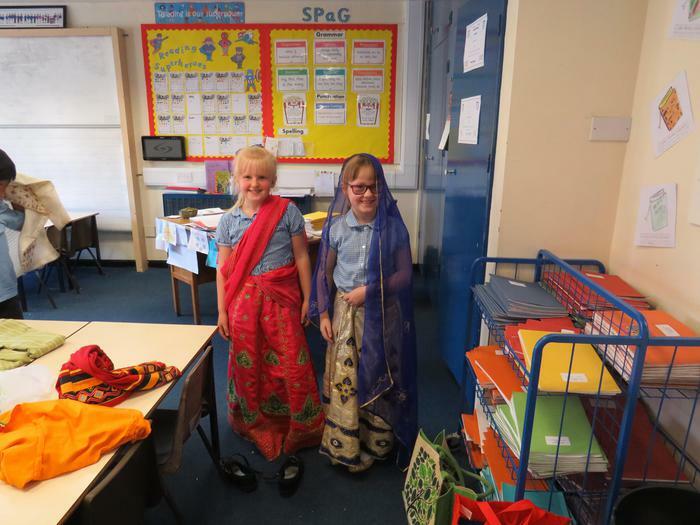 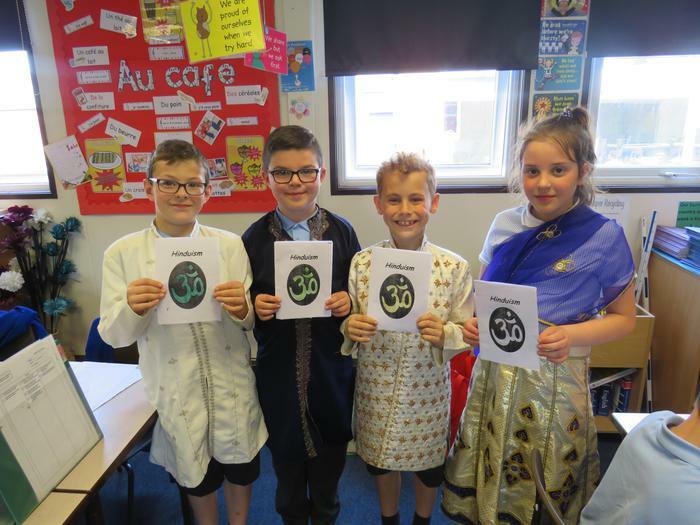 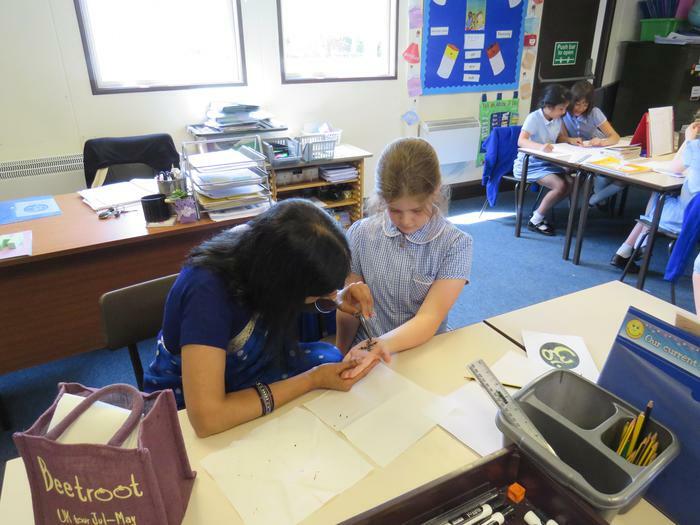 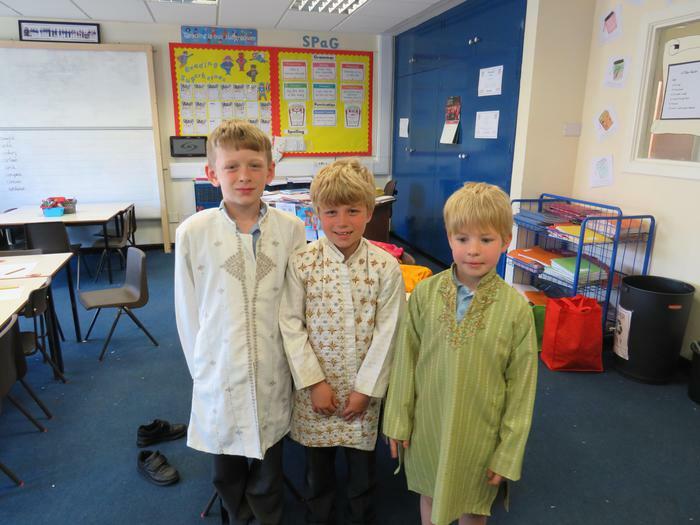 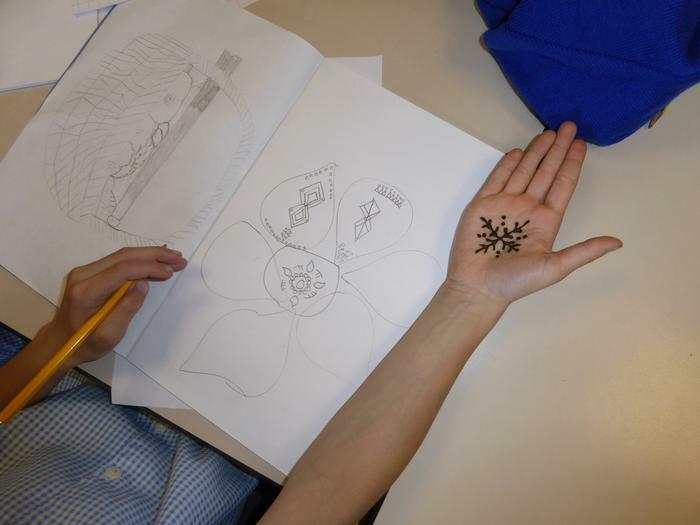 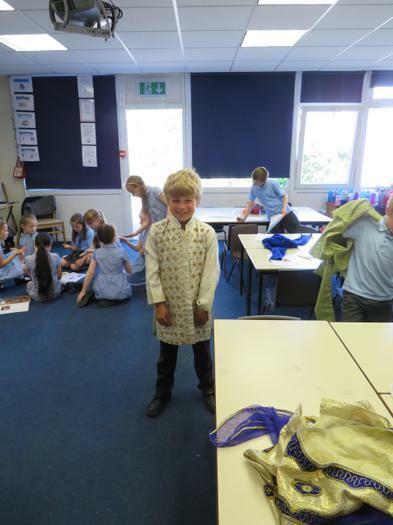 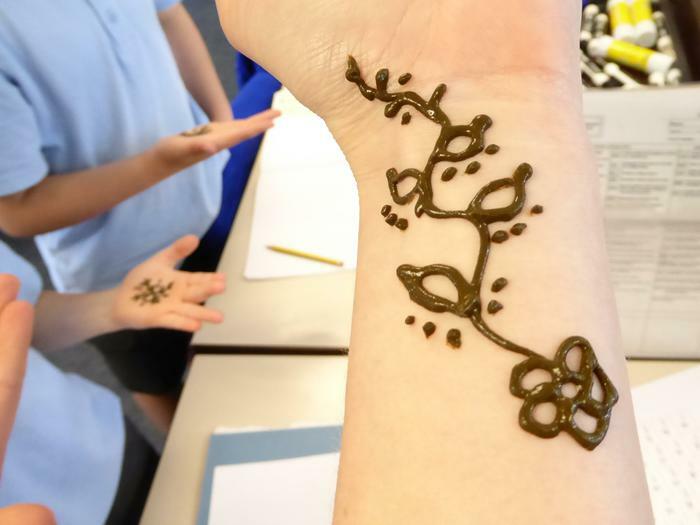 Pupils had the opportunity to dress up in traditional clothes, have a henna design on the palm of their hand and learn dances and games. 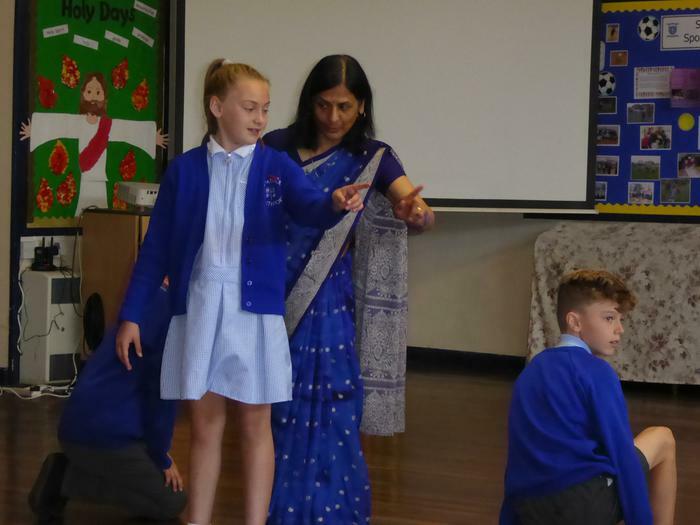 Enjoy looking at the photo gallery of some of the wonderful moments we shared with Prity this week.